This is a restaurant worth talking about. It took eighteen months since the departure of Guillaume Brahimi for someone brave enough to successfully take the reins of what is quite possibly the most epochal architectural work in Sydney, but it’s finally happened. A marriage between Peter Gilmore, and the iconic Sydney Opera House. On the one hand, it’s hardly astonishing – a head chef of international fame, a landmark of international fame. Really, the pairing should have been seen from Kirribilli. 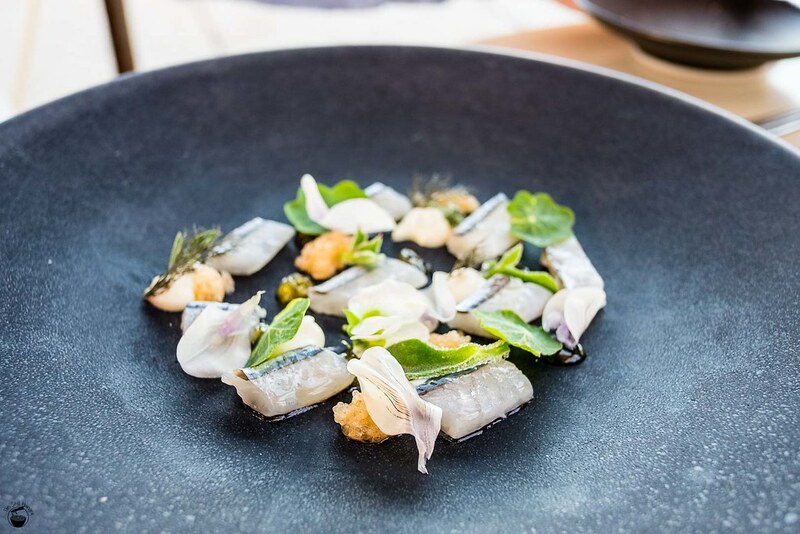 On the other hand, nobody knew what to expect – the head honcho behind fine dining juggernaut Quay, helming what is meant to be a more accessible venue serving more accessible fare. What’s Gilmore’s take? What’s the value Bennelong brings to the table? I find out by booking one, and I think we’re going to be in for some good times ahead. I quite liked Quay. 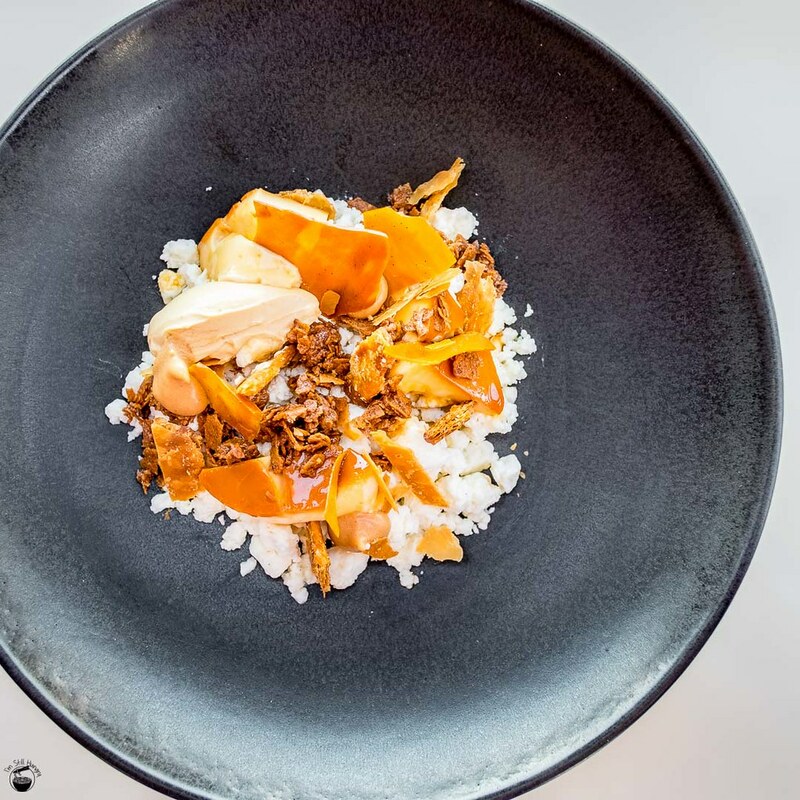 Sure, the restaurant that constantly ranks as one of Sydney’s best is most assuredly a victim of its own hype. Regardless, I liked it. 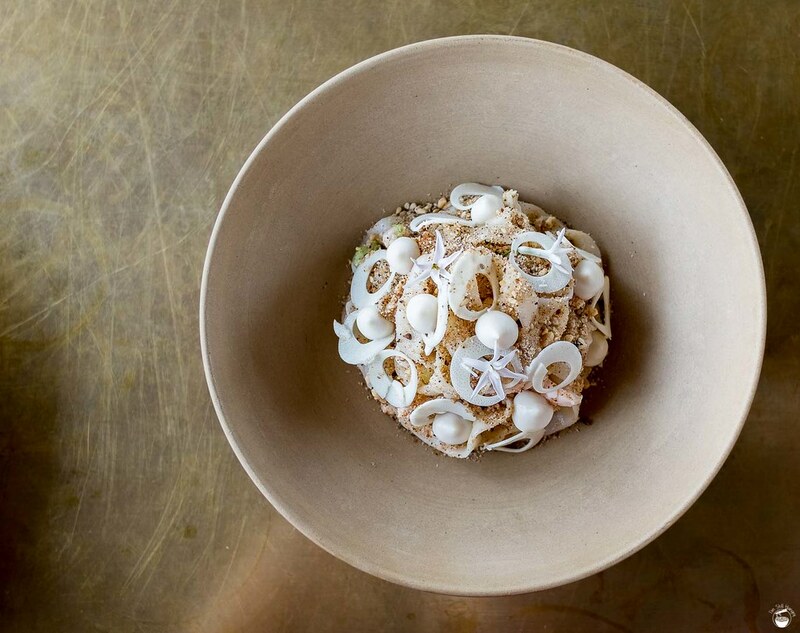 Peter Gilmore’s cooking is refined and yet strikingly simple. Yes, it may lack the grassroots approach of Attica, or the theatre of The Fat Duck. But his cooking is just delicious, backed by damn good produce. 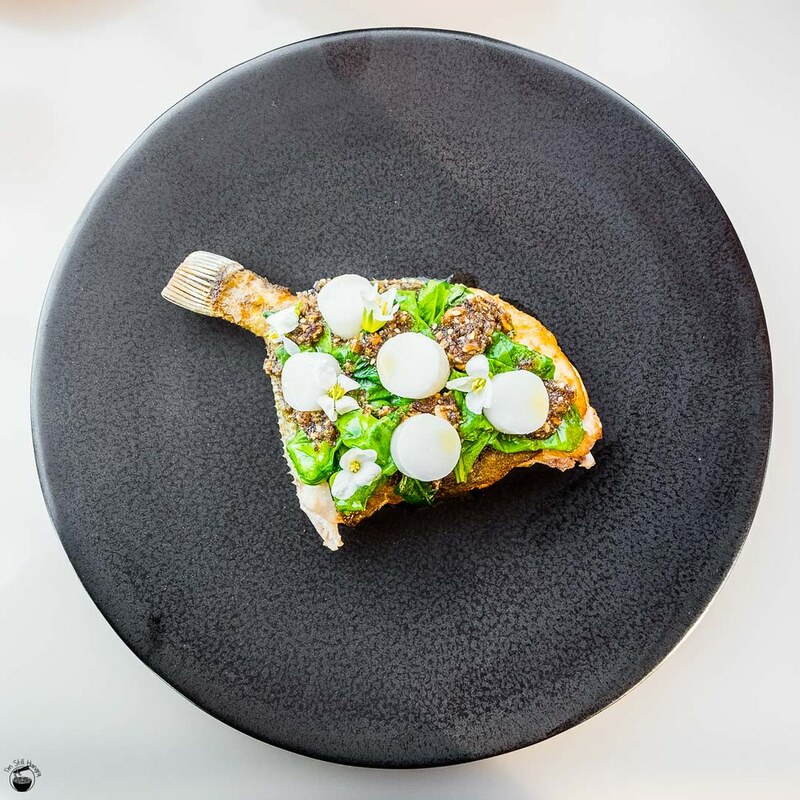 Which, really, makes him perfect for the brief set by Bennelong: no fancy-schmancy theatrics, no exorbitant prices, just quality, Australian-inspired cuisine cooked in a way that still pays homage to the produce. Well, that, and one of the best views you can get at any restaurant in Sydney. Being the architect behind the Opera House, that Jørn Utzon should be a Sydney household name comes as no surprise. 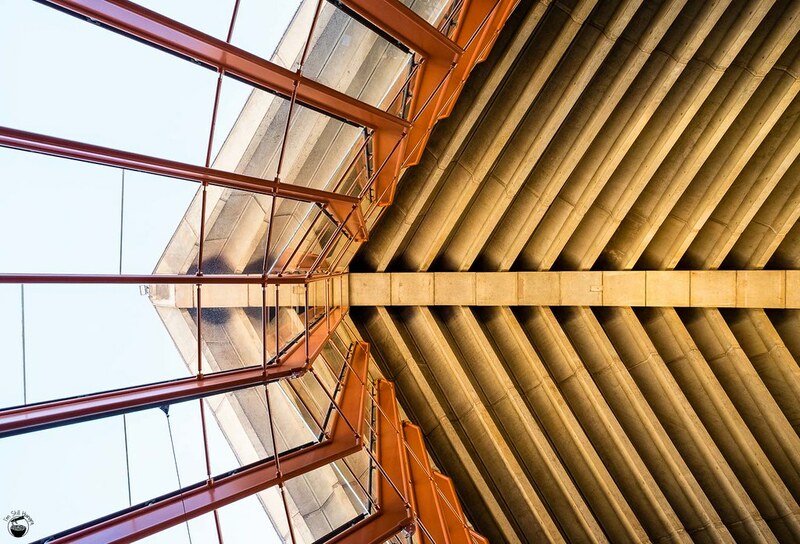 Bennelong’s fit out, designed by Tonkin Zulaikha Greer, pays utmost respect to his iconic sails and burnished concrete with the firm’s own touch of warm, woody glows and metallic, osseous beams. It’s a beautiful space, easily one of Sydney’s prettiest restaurants. Yeah, the Opera House helps. Most diners will reserve a table at The Restaurant. This is the primary seating area located on ground level. 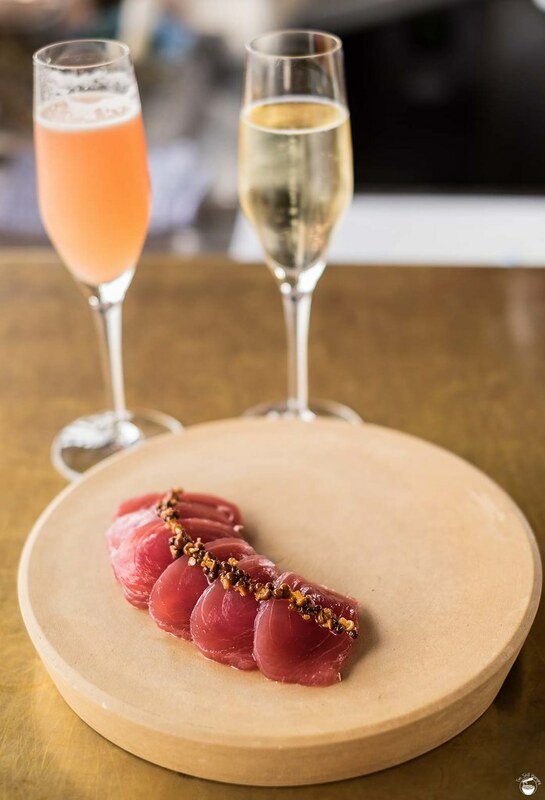 Dinner runs at three courses for $125, and 2/3 course lunches are available at $95/$125. Pre/post-theatre options are also available. 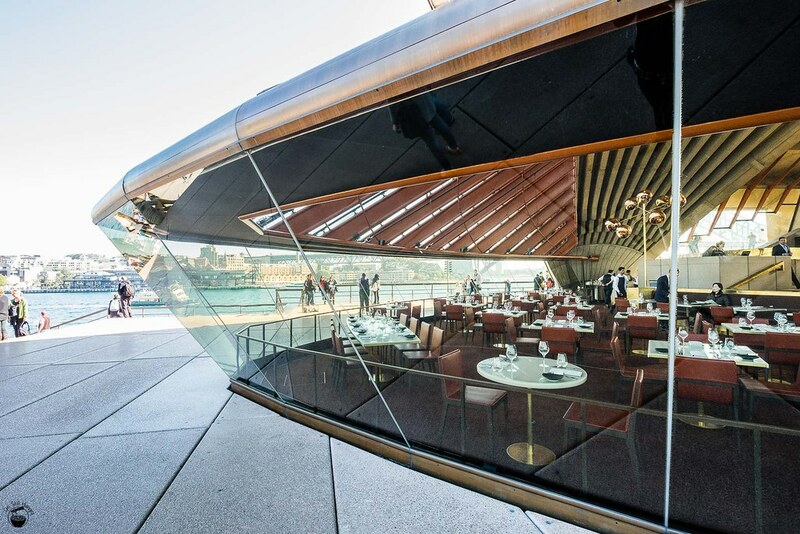 The Restaurant is what I recommend first-timers to try when experiencing Bennelong. It is the “default” experience. Those who are up for a more casual outing will find themselves at the Cured & Cultured Bar. 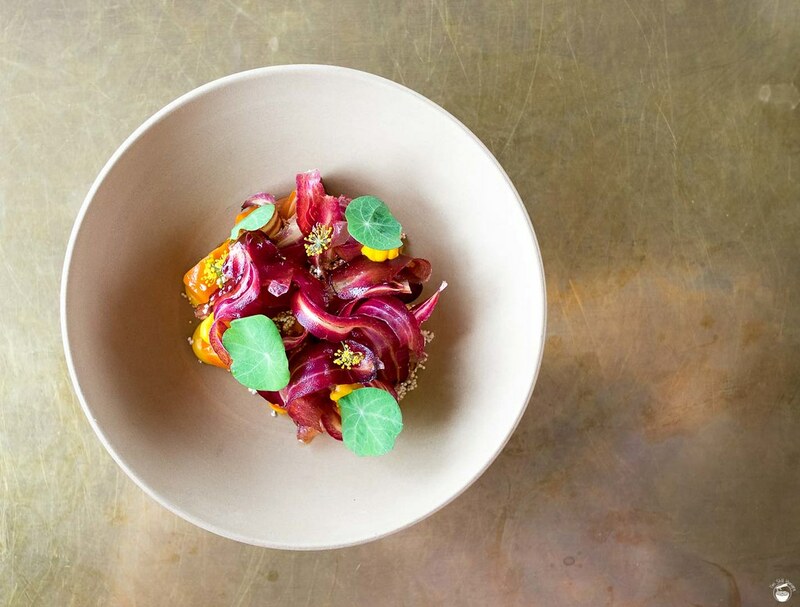 The menu centers on raw and cold produce, with a focus on “hero” ingredients in each dish. Several a la carte options from The Restaurant’s menu are also available. The final option? All yours – for $650pp. Yep, it’s the chef’s table. Let’s just say you won’t see me reviewing that aspect of Bennelong any time soon. Unless someone’s willing to provide a loaner kidney? As a first-timer, I naturally make a reservation at The Restaurant. I expect most people will enjoy Bennelong this way. I took my parents, and we went the full three courses. Trust me – you do not want to skip the desserts. 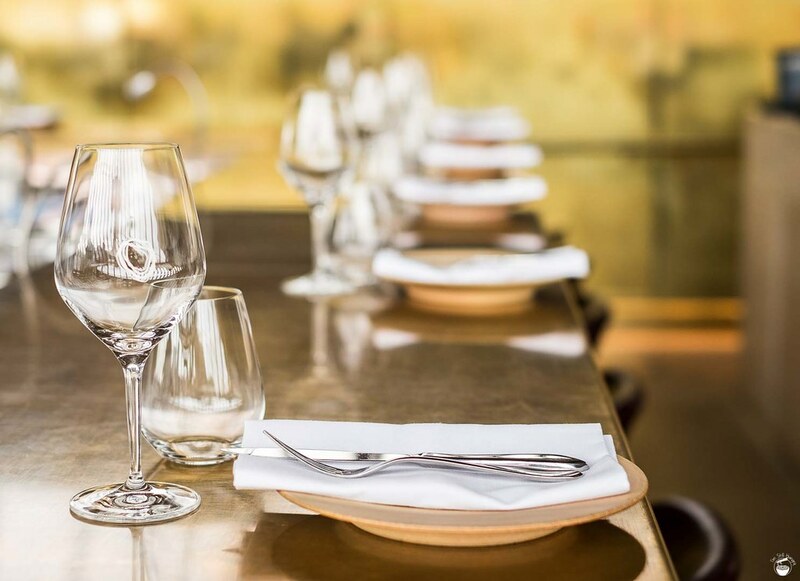 Service is effusive and genteel, with all of the usual decorum we would expect at Bennelong. It stopped short of the waitstaff laying napkins on our laps, but I personally prefer to do that myself, anyway. Not once throughout did we encounter any foibles worth noting. Well, unless you try and take a picture of the restaurant with a serious-looking camera. I was stopped in my attempt, with the woman who forbade me giving a reason based on privacy of customers. I was asked to delete the photo off of my camera as well. This is fair as it’s their venue. It did come as a surprise – I haven’t encountered that in awhile! This is why you won’t see any more interior shots apart from the few up top. You knew this was coming. The world will end when bread is no longer served. 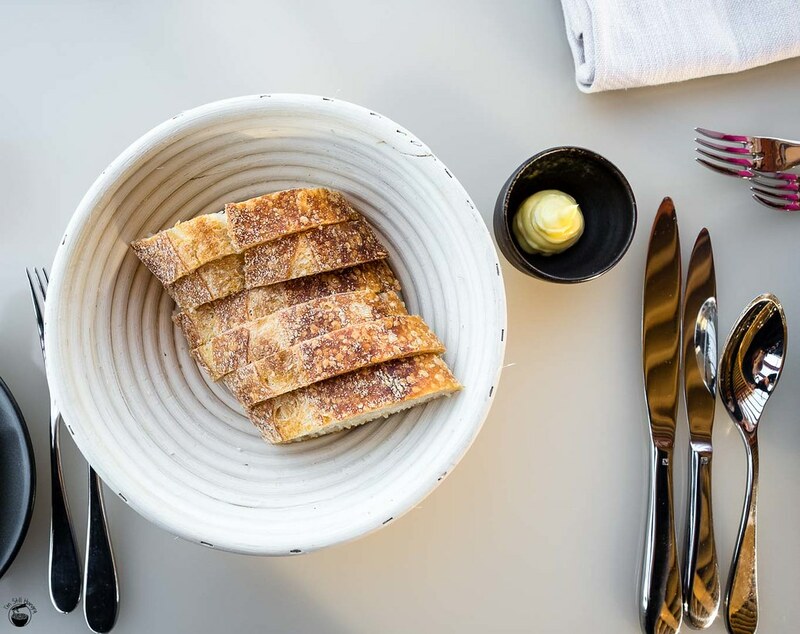 Ours comes in the form of warm sourdough at two pieces each, with house-churned butter. Upon first bite, I was off to a good start. The bread is served warm (score points! ), fluffy but still remains crusty and crunchy on the outside. All satisfaction, no quarrel. 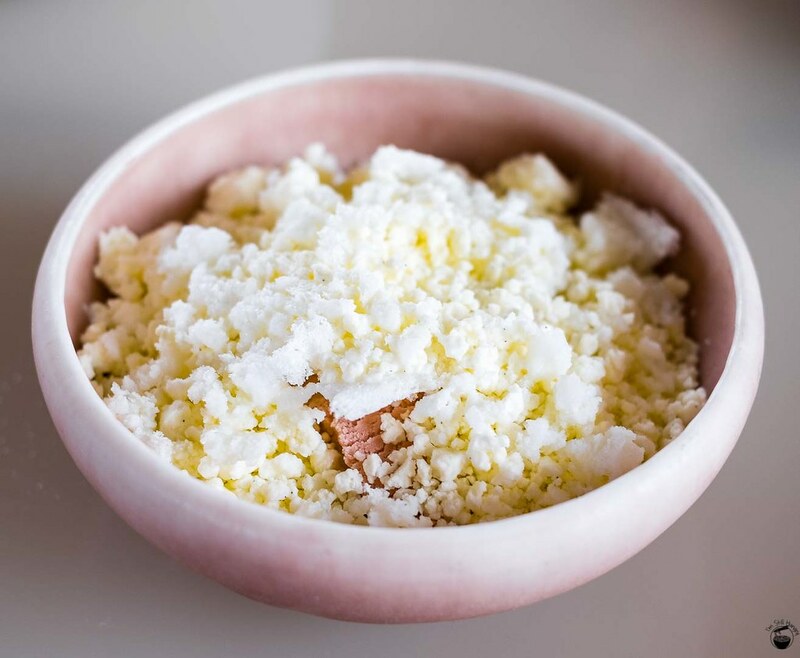 The butter is a bit difficult to spread, but I qualify that statement with my recent experience of Restaurant Amusé’s whipped butter, which completely changed the game. 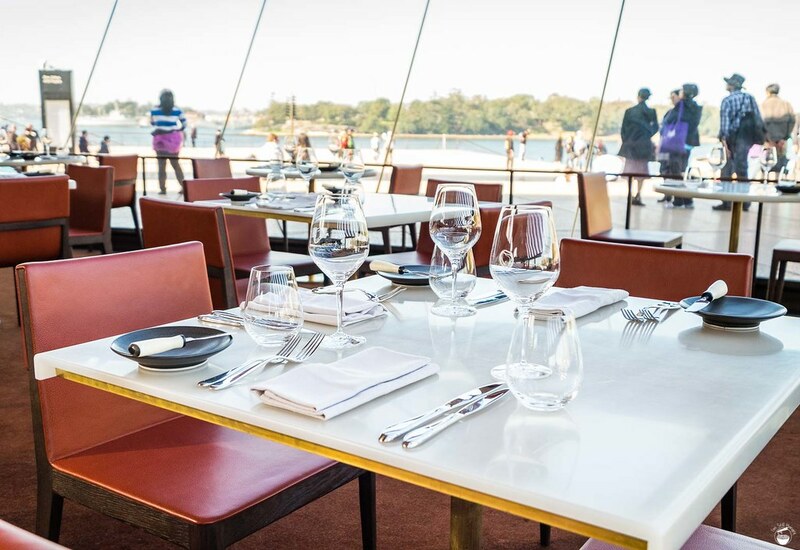 Bennelong has nothing to fear though – you don’t break a restaurant off the butter, and it’s pretty good here anyway. A solid way to start, really getting my appetite going. 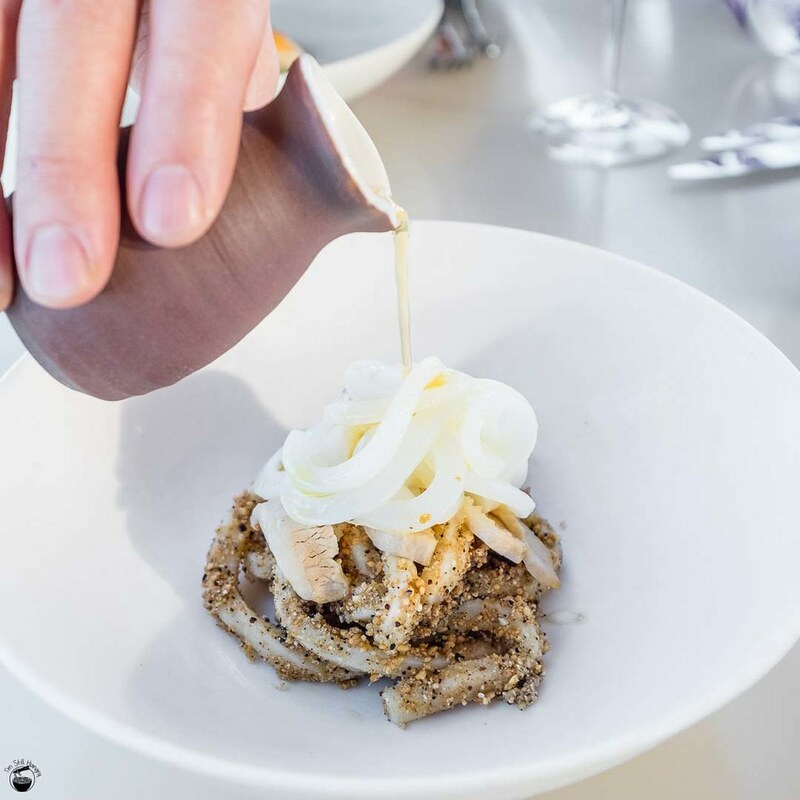 Ordering off the beaten track is definitely something I suggest you do when at Bennelong. Gilmore clearly knows his way around a slow cooked pumpkin, as this may be the best dish I’ve tasted in living memory that heroes pumpkin as the core ingredient. Sweet, rich, & nutty with a robust, but not overpowering truffle presence. That’s this dish in one sentence. Moving further is the texture – you know where this is going. Buttery smooth, creamy “AF” (warning: coarse language in the link!). This is the pumpkin dish to beat. As if the pumpkin’s incredible texture didn’t need further expounding, the cream that went with it was worthy of its own conversation. In Chinese. With my parents. Yeah, that happened. Finally, though I already mentioned it – truffle makes most things better. It totally made this dish better. Get it now – while it’s still in season! You know you’re Australian when you don’t get freaked out about seeing the word “bug” on the menu. It’s our word for slipper lobster, and damn, it’s delicious. What of Bennelong’s take – the grilled Lady Elliot Island bug? Fabulous. Presentation is already impeccable: colours! Colours everywhere! The roundness and arrangement of the root vegetables also elicit feelings of happiness way too strong for what is just a few pieces of turnip and radish on a plate. But boy is it pretty. And of course then there’s the flavour – a surprisingly daringly spicy kick, reminiscent of Asian chillies. This is then followed by the buttery umami of the bug itself. Tender flesh, contrasted by the textural variations of crunchiness from the veggies offer a satisfying conclusion to a morsel that could just as well have been main-sized. I’d still be hungry for more. I would have to say the most unusual entree we ordered is the single origin wheat noodles. 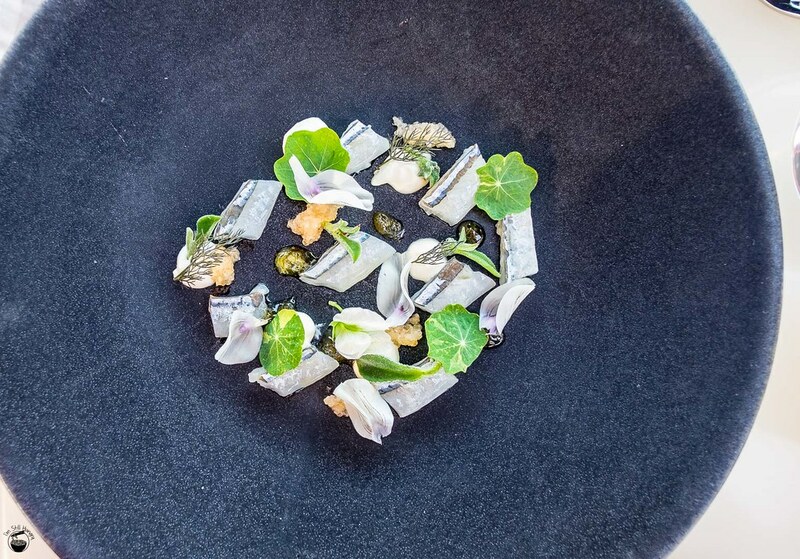 Bennelong’s plating is already minimal, but this was anaemic. But then the broth came. As someone with a thing for noodle soups, this is a welcome development. Condiment pours at the table seem to be the trend du jour these days, but I’ve no misgivings regarding it – it certainly beats sloppy soup stains from potential sloshing as the plate is brought to the table. The fun part about these noodles is that unless you look closely, you can’t tell which strands are wheat noodles, and which are made out of squid. The result is a medley of chewy tough squid, and chewy doughy noodles. I liked the effect, though perhaps it was a little gratuitous. There was also a bevy of fine-grained nuttiness at the bottom of the dish borne by the peanuts and sesame. In terms of taste, it’s quite pungent (relative to the other entrees so far), with strong hints of sesame and almost “baconess” from the smoked pork. Speaking of which, that pork was pretty darn succulent – but the pieces were too small to be fully satisfying. While perhaps not quite as good as the bug and the pumpkin, this is still a solid entree that’s definitely worth a try. 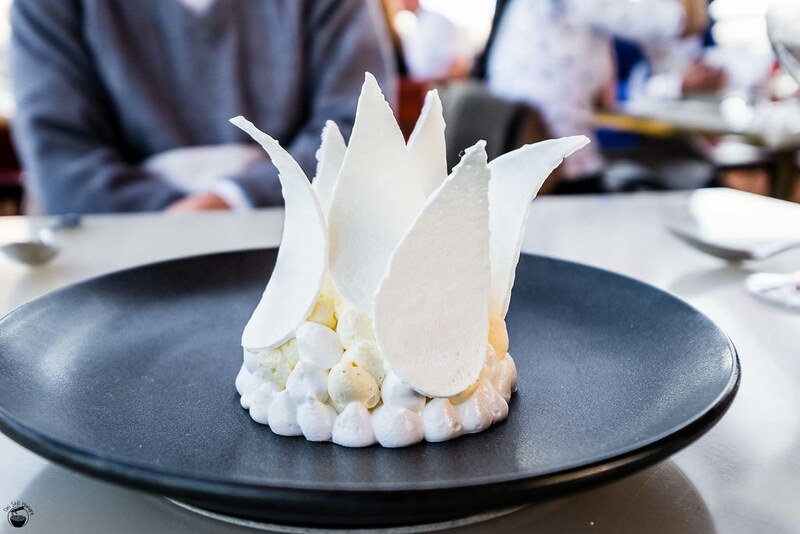 I know Gilmore’s vision for Bennelong is something a bit more relaxed than Quay, and while that is true for atmosphere, plating is on par, if not better than the three-hatter. Like the entrees, the mains are beautiful to behold. However, on flavour, I’m discovering more of a mixed bag. In addition to the mains itself, we also receive default sides of salad and three types of baked potato. The mains themselves are quite small in portion, so these stomach fillers were more than necessary. Fortunately, they’re also reasonably delicious. We’ll start with the Macleay Valley suckling pig. 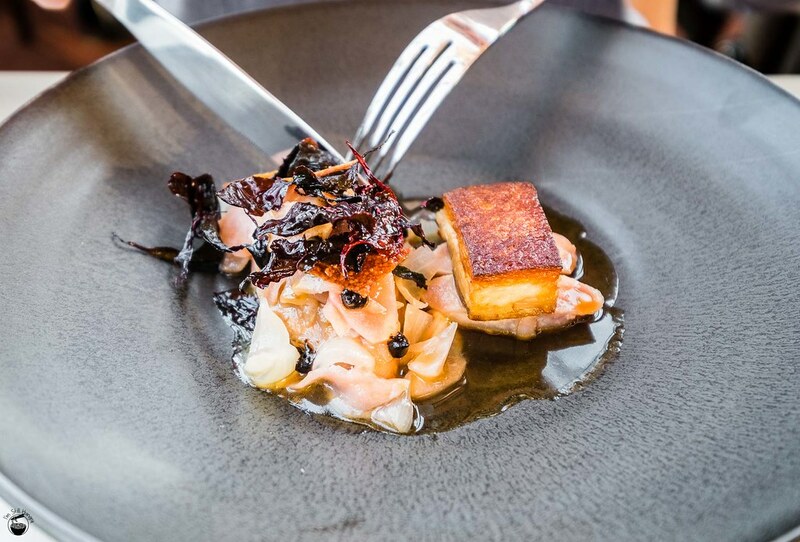 This is a solidly built dish, with a lean pork component, as well as a pork belly component. The lean pork is buried beneath a mound of vegetables, and tasted a fair bit like stock-standard pulled pork. I didn’t really notice anything distinguishing about it, so it was quickly consumed and forgotten about. My advice is to mop up as much sauce as you can with this shredded pork, as it can become a bit dry-tasting after a while. The pork belly component is tastier – quite fatty and succulent, however an extremely small portion. That’s fair, as the bulk of the meat is in the form of that pulled pork. I wish the ratios were reversed! Interestingly enough, what lifted this otherwise ordinary dish are the pickled vegetables. Their refreshing, tangy zing is a splendid foil to an otherwise straightforward porcine experience. 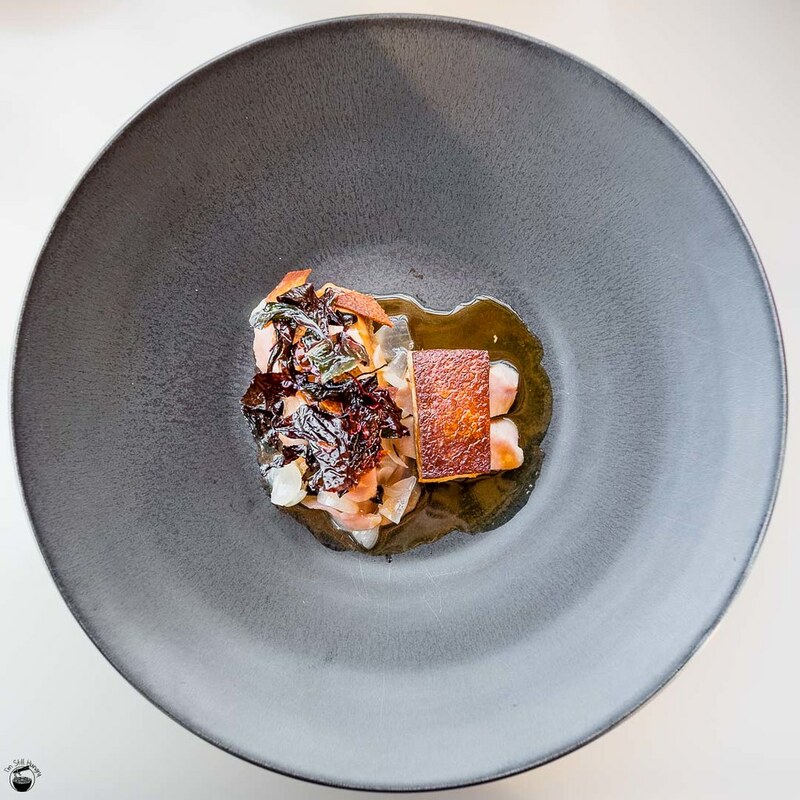 In the end, it’s a tasty dish, like every other at Bennelong so far. However, those looking for something a bit different might not come away blown away. Where the suckling pig is an ordinary but tasty dish, the roasted holmbrae duck would be an example of an interesting, but rather tasteless one. To clarify what must sound like a strong attack, I do mean the word “tasteless” in a near-literal sense without any subtext – I could not taste very much flavour from the duck meat at all. In addition, the skin of the duck, while seemingly deliberately blackened, tasted very charred. I could not get the taste of charcoal out of my mouth after the first bite, until I was saved by the pickled hispi cabbage that was thankfully in plentiful supply. Other than the duck being a bit of a downer, I have to say the garnishes surrounding it, especially the cabbage, to be very moreish. A salad made out of the stuff would not be a bad order. 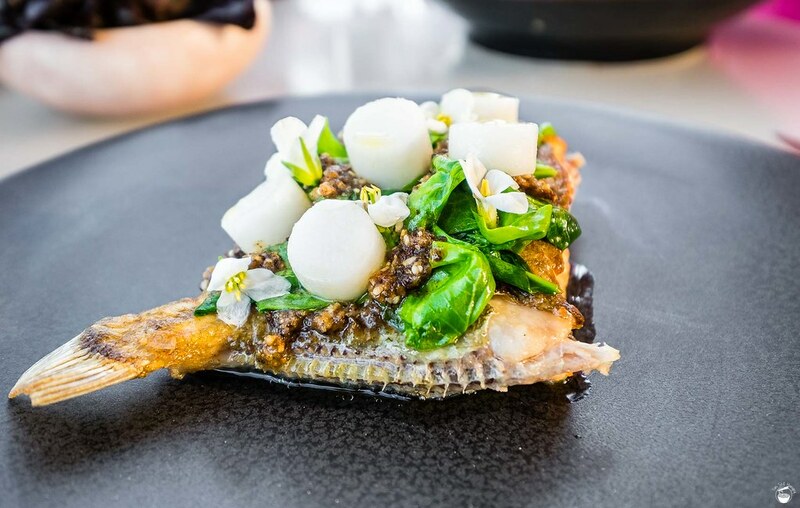 Gilmore has remarked that while he would never serve a dish of fish on the bone in Quay’s dining room, it is something that’s fully suitable for Bennelong. This Roasted John Dory is a remarkable main that easily induces amnesia in the previous two dishes I tried. Absolutely beautiful to behold, without question, a delight to eat. Crispy skin (a pleasure all by itself) is pried open to reveal folds upon of buttery flesh. It’s chock full of flavour, which should not surprise given the umami butter in use. Bottle this stuff and sell it, yeah? Not only is the fish one of the most outstanding I’ve had in recent memory, the crunchy saltbush on top adds its own crunch and saltiness for an extra flavour kick. Be careful – I would suggest eating everything together, as the seasoning by itself can be quite salty. If anything, that was the dish’s only fault. But what about the bones? Actually, the flesh comes off the bone so easily, it was barely a problem. It’s often said that cooking fish on the bone not only “respects the fish”, but also helps seal in flavour. I usually just end up having a bone to pick with the chef. Not this time. I don’t know what Bennelong’s signature dish is meant to be, but can we put this little number to the top of the shortlist? If the John Dory wasn’t a good enough send off (you two-course diners can leave now), the desserts are on another level. 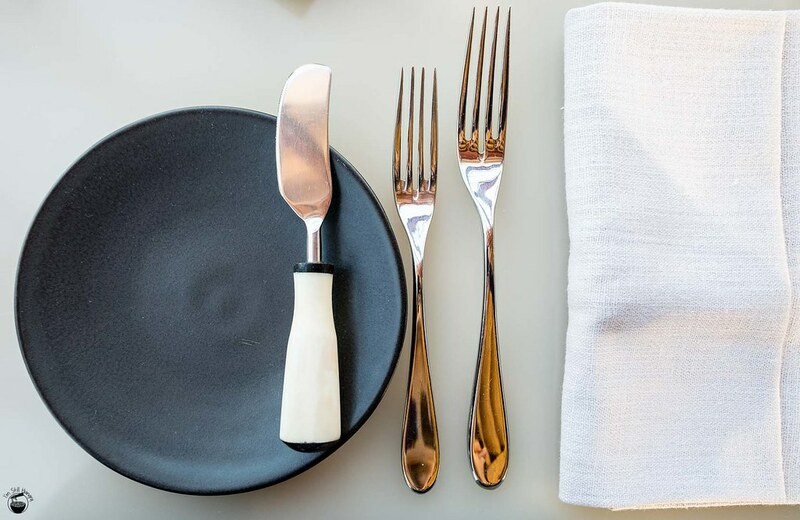 Bennelong’s Australian-focused menu is nowhere more prevalent than here. I mean, just take a look at the first one. I don’t even like pavlova, but I ordered Bennelong’s. It’s those sails, damn it. 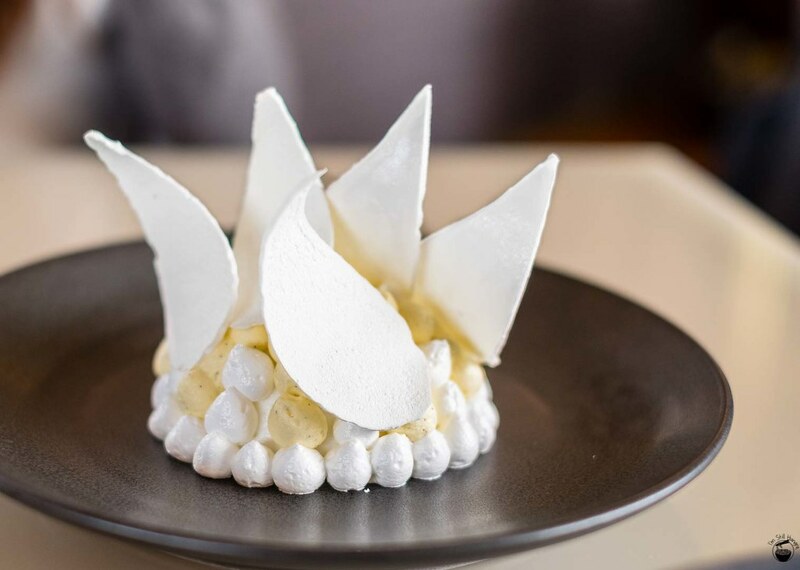 In an homage to the epochal venue that houses Bennelong, Gilmore expended quite the effort to get the classic pavlova’s meringue shards to resemble that of sails. It’s supposedly a difficult task – breakages were common in testing. I figured I should at least respect that with an order. It also looks oh so easy on the eyes. The thing is, it isn’t overly sweet, and as such doesn’t overpower. While there’s a lot of really pillowy meringue cream, I felt that I could go through a fair few spoonfuls before sugar overload. It’s really quite nice. 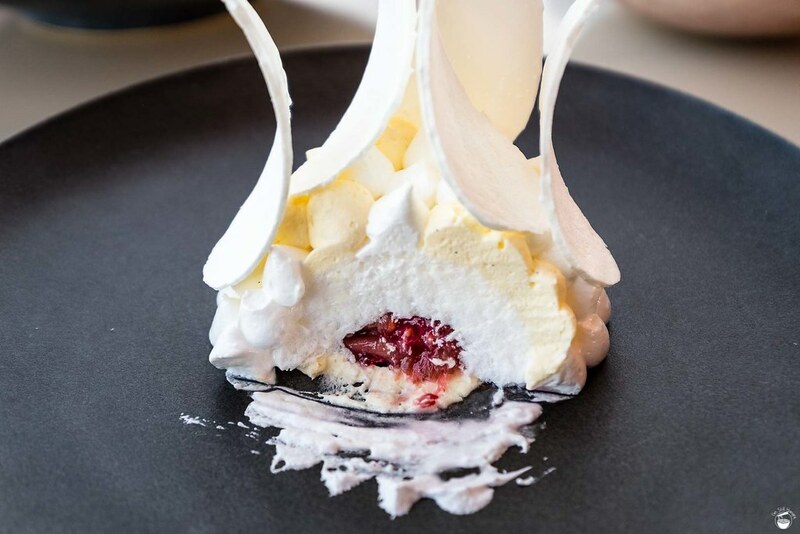 At the centre is a little hemisphere of poached rhubarb, of which its acidity cuts through the sweetness of the meringue somewhat, though perhaps more could be included. I would still share this dessert, but a new baseline for pav has been set for me. 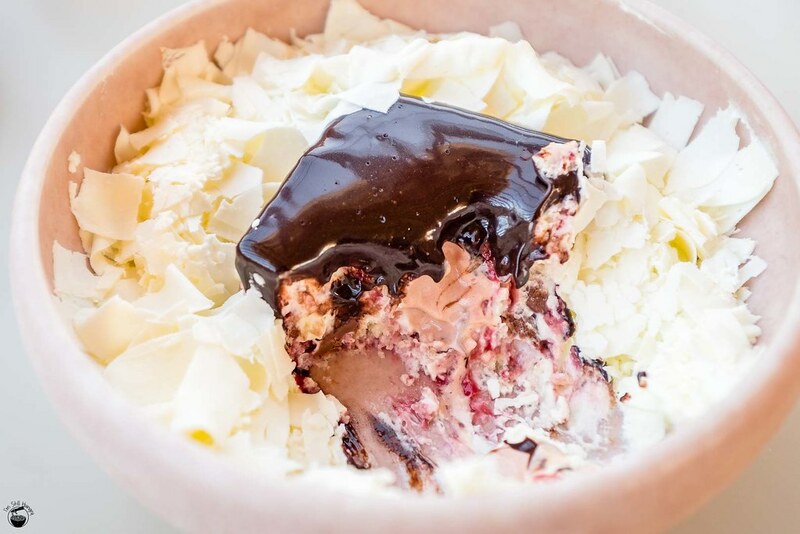 This cherry jam lamington is the Space Jam of lamingtons. Don’t hate, that was an incredible movie for my 10-yo self with no idea of what a good movie is meant to be. 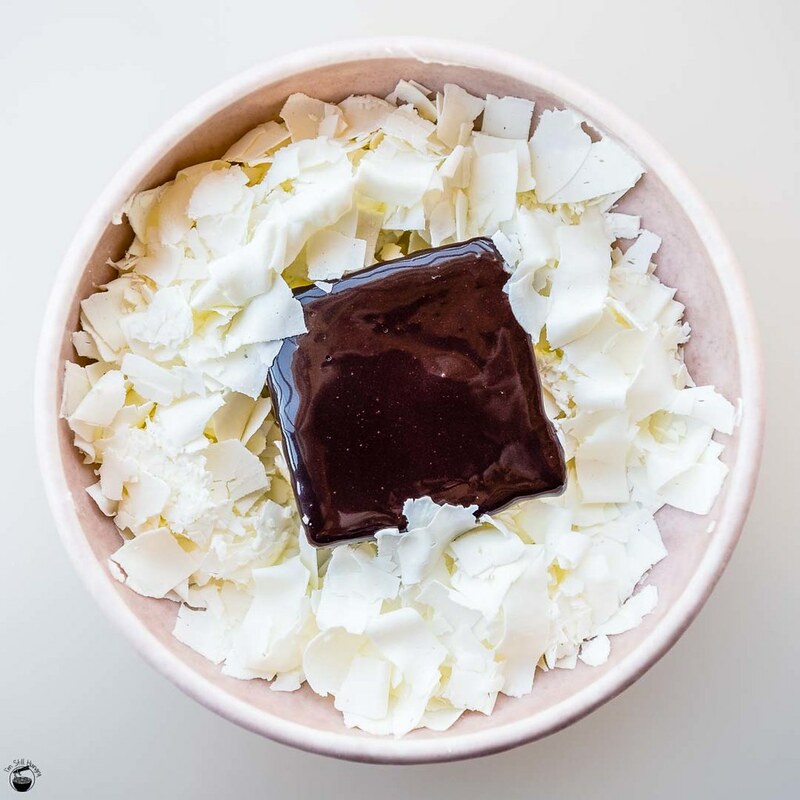 It’s the ‘abundant’ density, the bittersweet dark of that chocolate coating, the hit of acidity from the cherries balancing the chocolate’s richness, and the ample bed of iced coconut flakes around the side that melt in the mouth. A flavour and texture bomb that had mum finishing half of it before I had to remind her that we are sharing this between three. Fair enough. I will have one all to myself next time, thank you very much, mum. Seriously though, this is the best dessert I’ve had at Bennelong, probably the best lamington I’ve ever had (up there with Flour and Stone), and in all, a glorious dessert. 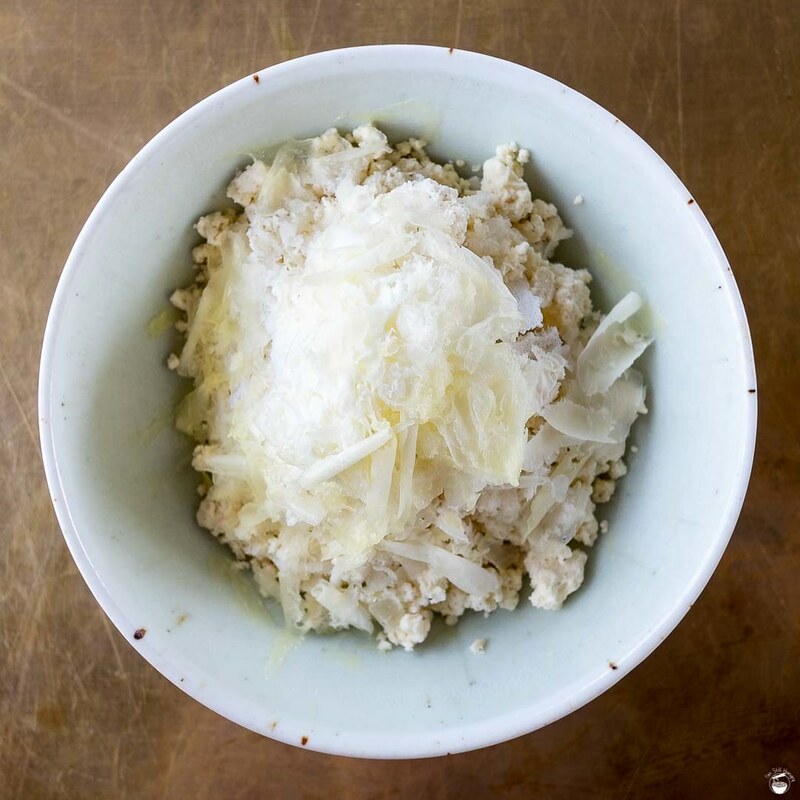 Just once more – those shaved coconut flakes, melt in your mouth creamy. Oh yes. To say it’s a “pretty difficult” cake to make is saying that training to be batman will leave you “a little out of breath”. 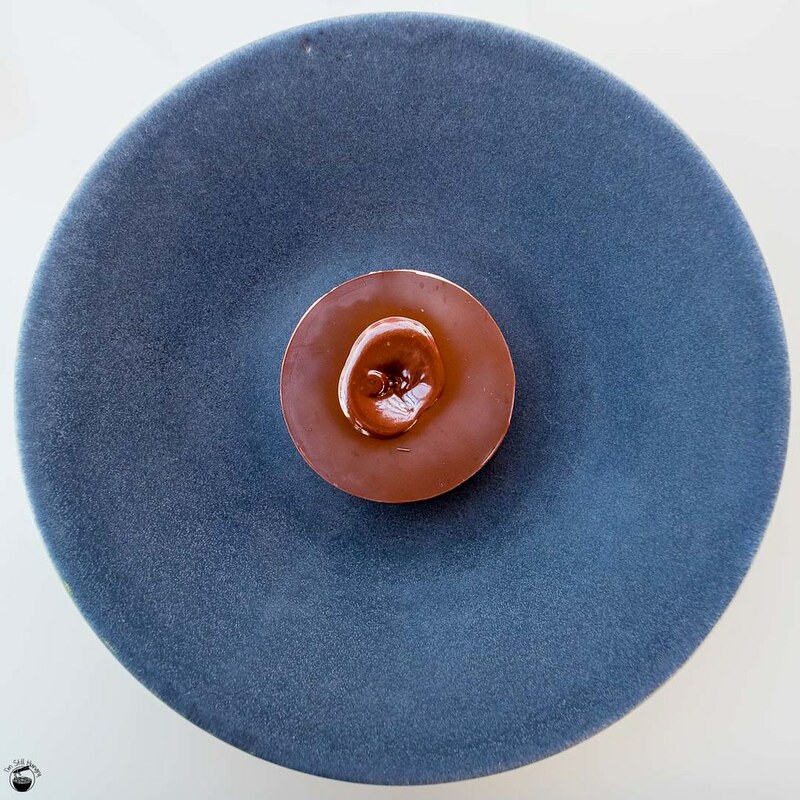 There’s a reason why this is my favourite chocolate cake (yes, that’s right), and so having the opportunity to order this cake without forking out $200 for a degustation at Quay is oh so dandy. So what are these eight textures? I don’t even care if I’m wrong – some things are better if they remain magic to me. This cake is everything. It is the chocolate cake. The reference chocolate cake, the benchmark chocolate cake, the best chocolate cake. And in the end, you get to eat it too. 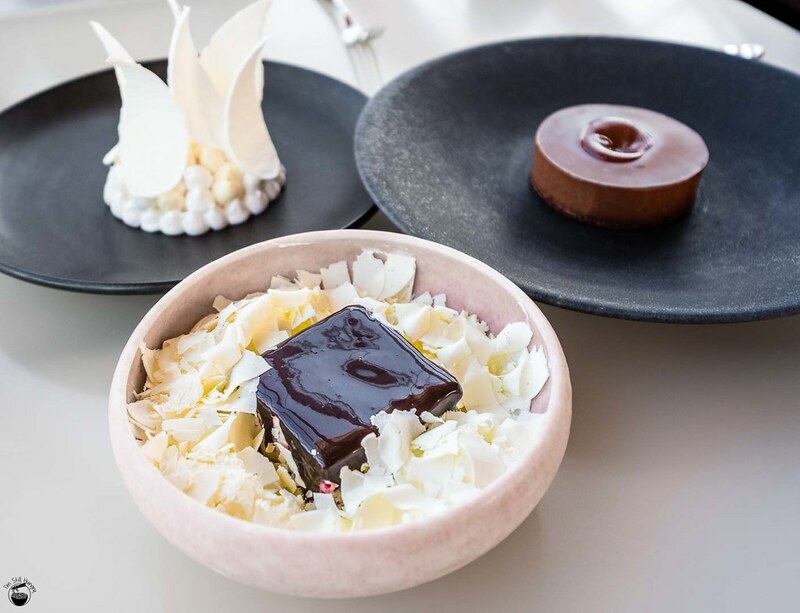 Gilmore’s desserts were what I liked most about Quay, so I had pretty high expectations for the desserts at Bennelong. They were met. I did mean it when I say Bennelong is a better restaurant than Quay. True to my words, I visited again within the same month! I don’t drink alcohol, but our waiter had a slick way with words, which is how we ended up compromising with two non-alcoholic beverages. I was particularly curious about their outback, ‘Straya’-esque ingredients – wattle seed cola & house made ginger beer. At $8 each, we decided to give these “bush tucker” dranks a slosh. I can’t say I regret the order, but these drinks were not to my palate. My friend was in agreement. 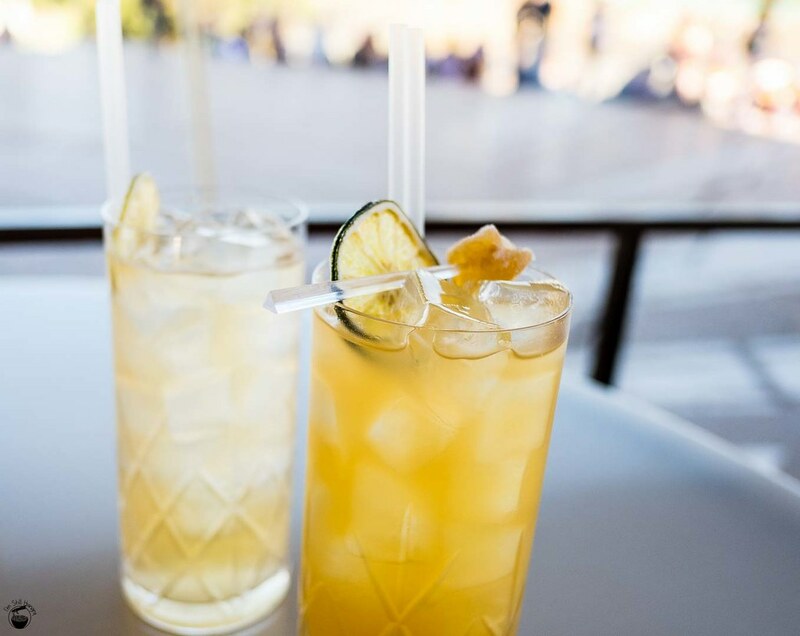 The ginger beer is the better drink of the two, with a slightly punchier taste and a spicy kick from the ginger keeping things interesting. The ginger lolly on top? A nice touch – basically a candy version of the drink’s flavour profile, with about ten times the kick. My main criticism was that I expected the drink to be carbonated, but it was completely flat. Are flat beers a thing? The wattle seed cola was a non-event for me. Flavours were a subtle nuttiness, herbiness and mintiness, but at the same time – none of those three. I honestly haven’t had anything like it, but I didn’t like it very much, as the flavour was very, very weak. While the drinks were a bit of a flop, the food as usual, is anything but. 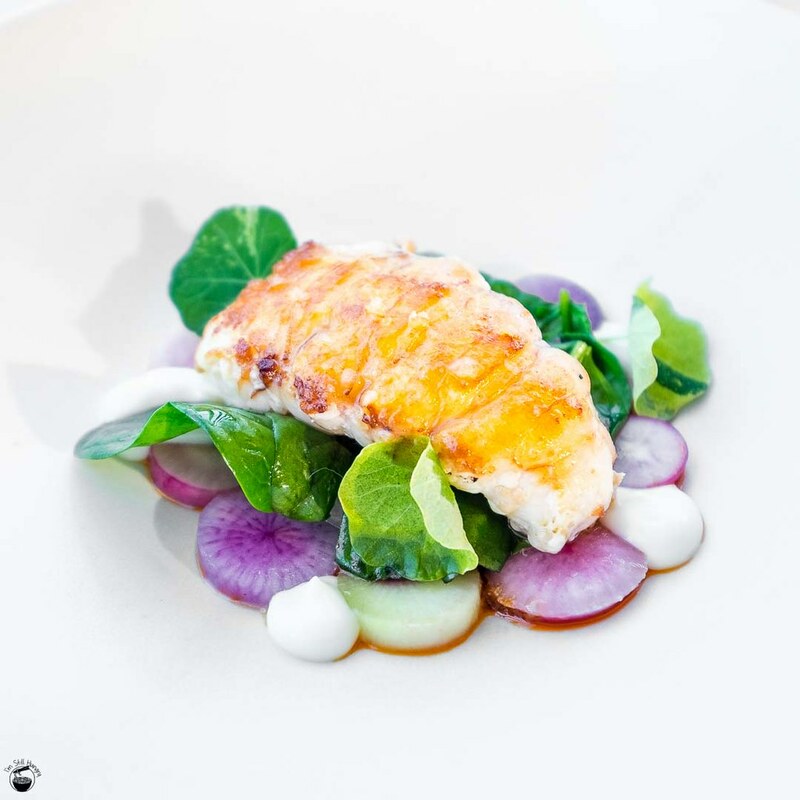 My friend ordered the Airlie Beach garfish – actually a new addition on the entree menu (yep, already there are changes). 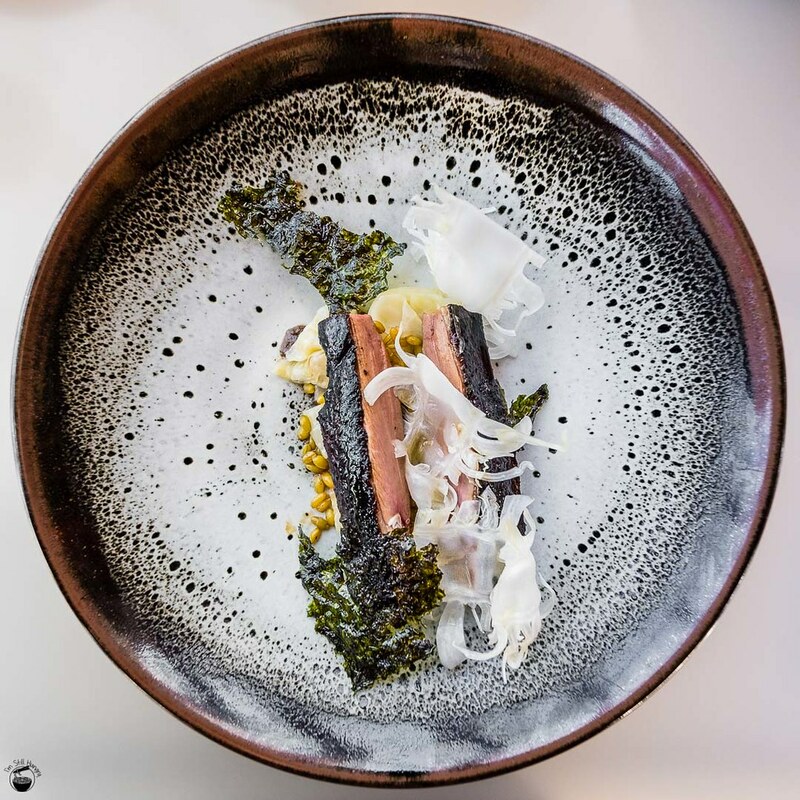 The dish practically screams Nordic. 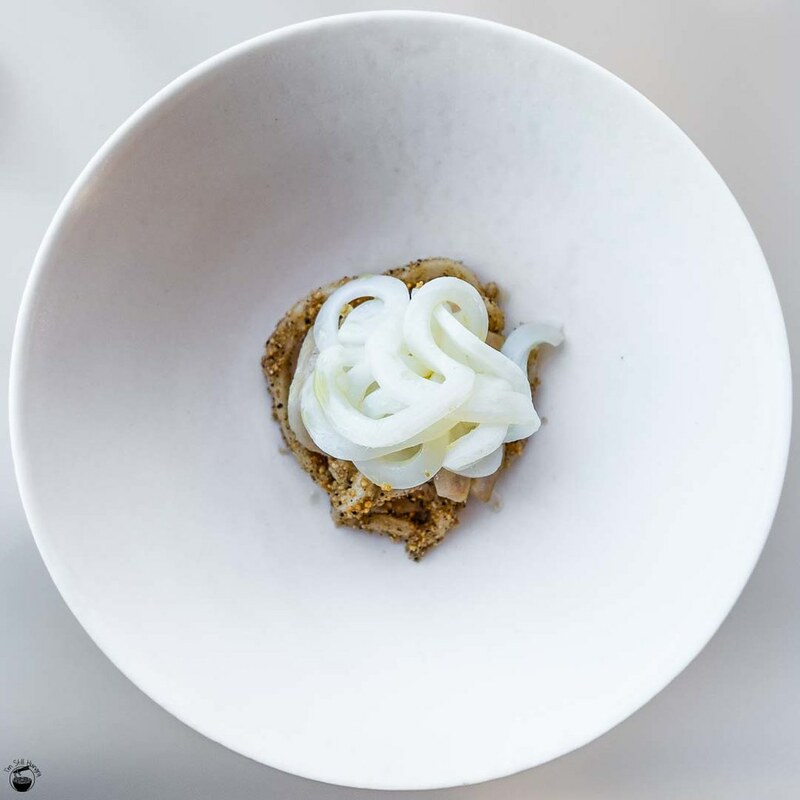 A cold, raw entree with an umami-rich cultured cream as the primary source of flavour sits as the centrepiece of the dish. Little dollops of dory caviar and greens complete the look. While I quite enjoyed the umami of the cream that underpins the dish’s flavour profile, I can’t help but wonder whether this is an entree much better-suited for serving in summer, rather than during the frigid winter. There’s no warmth to the dish, no spike of that particular kind of satisfaction which only comes with hot food. 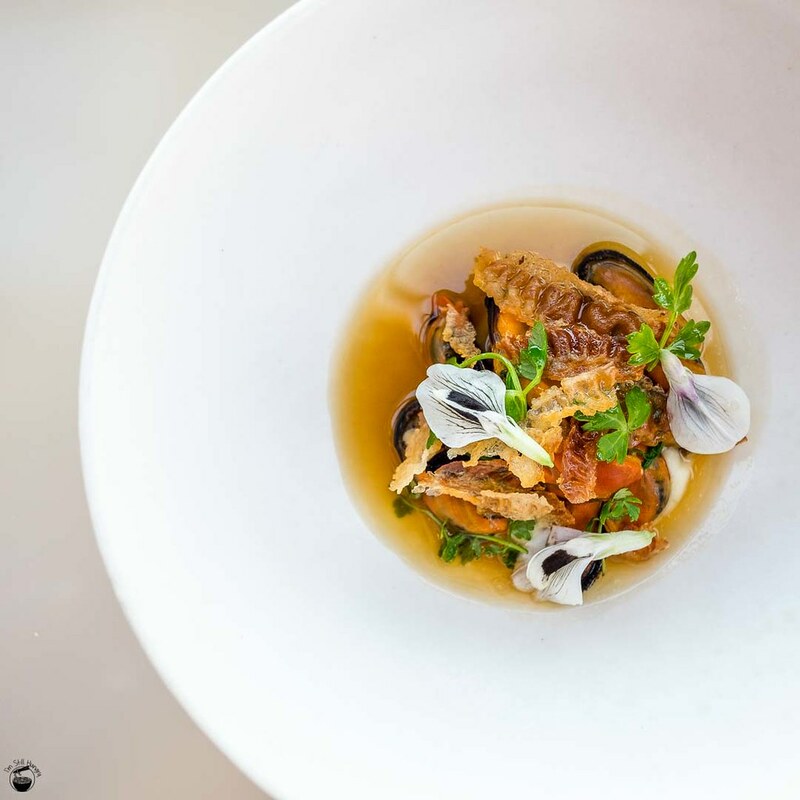 Now this is what we’re talking about – a piping hot starter of mussels, clams & pippies. I had some seriously delicious entrees on my first visit to Bennelong, but make no mistake – these pippies have pippied the others to the #1 post. 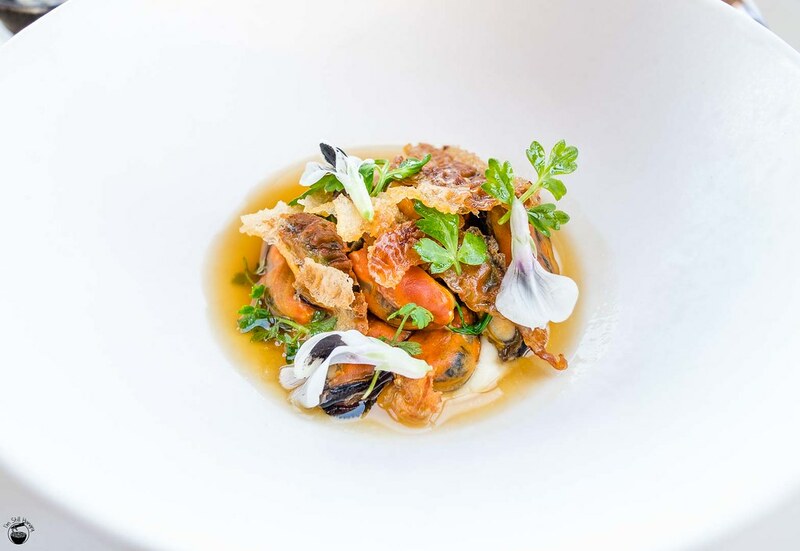 Hot, juicy & chewy mussels are the hero of the dish, with perfectly soft flesh and oodles of flavour and broth with every bite. Speaking of which – whatever’s in that broth must be a type of liquid crack, I was doing the whole “tilting the dish so I can scoop up as much broth as possible” move. Not fancy, but you gotta do what you gotta do. As Masterchef always likes to remind us – it’s all about deliciousness in the end. What takes the dish up yet another level is the inclusion of crunchy guanciale, or as I like to call it – “fancy bacon”. Technically, the dish is already exceptional to the point that this becomes somewhat superfluous, however I love me some bacon any time, so it was most welcome. Yep, the best winter entree money can buy. Both my friend and I ordered the King George Whiting. I usually prefer ordering different dishes to share for the sake of variety, but upon first bite of the whiting, I sure was glad I did not share any. It’s a dish that impresses in both flavour and texture. A creamy umami forms the underpinnings of its flavour, and it’s just packed with it. A flavour explosion, a packet of flavour C4. Yet, I didn’t find it overwhelmingly salty, which is usually the culprit. Dang, that’s delicious. And then there’s the whiting itself – soft and buttery, the flesh sliding off at each cut with an ease to the point that a fork could cleave through it. This is a tender, tender fish, and easily on par with the also-excellent John Dory. That latter dish by the way, is worth ordering if you prefer your fish to be served on the bone. 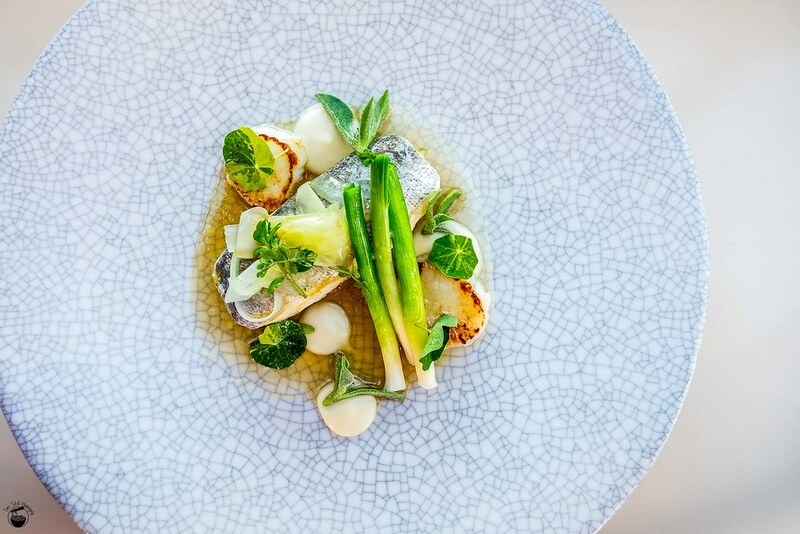 On a final note, perfectly-seared scallops and crunchy leek adds just that little bit of extra character, texture and volume. Definitely necessary, as I still find the main sizes at Bennelong are on the small side. Yep, we did it again. THE chocolate cake. When it comes to desserts, Quay’s famed eight-texture chocolate cake is a must-order for those who have yet to try it. There was a strong temptation for me to steal a piece off my friend, but I refrained. That said, If you haven’t had the dessert, didn’t order it while your friend did, then it’s worth losing that friend to have a piece of his/her cake. Heh. It’s that good – and to date, still my favourite chocolate cake. If I keep going, I’m going to commit the terrible crime of running on sentences. That’s how much texture is in this dish, and I’m not even done yet. There’s also a granola-like crumble on top, caramel emulsions, and I’m probably still missing more. Flavours? Equally diverse and impressive. 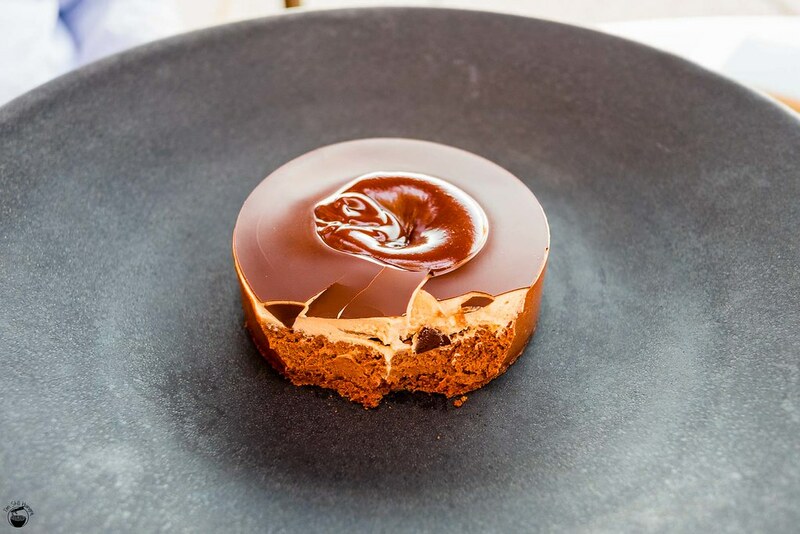 You could rename this dessert “fifty shades of caramel”, and you’d do a decent effort of capturing it. 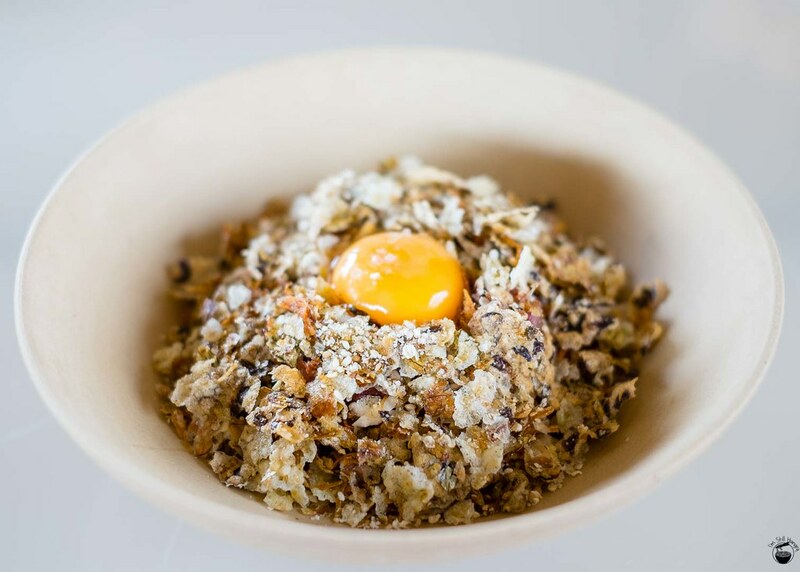 Of course, it’s a lot more than that – there’s a milkiness from the “milk powder crumble” at the bottom, nuttiness from that granola-esque element, and even an ever-slight tang of cheesiness. Brilliant. 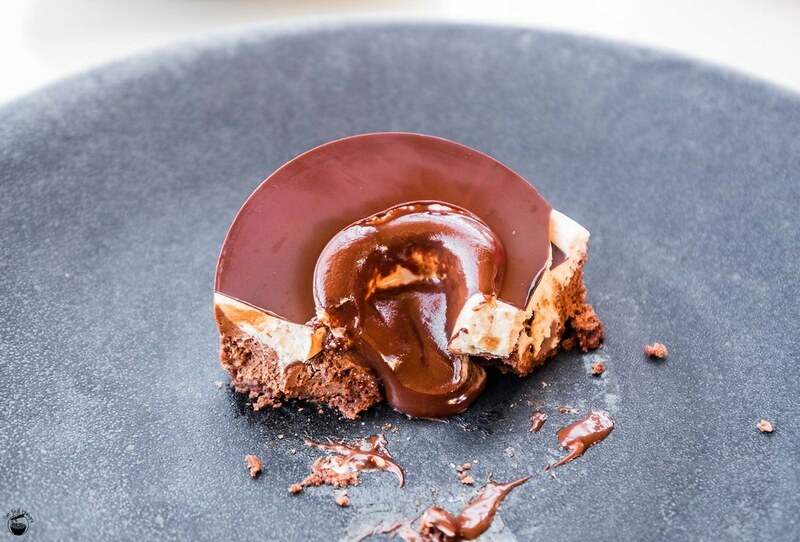 I honestly don’t know what my favourite dessert is at Bennelong – the bar is set so high, yet they all meet it. Well, maybe except for the Pavlova, heh. Don’t be surprised if I book a third visit to Bennelong within the next few months. I can’t wait to see what the Spring menu brings. Well, I definitely made good my promise on that, returning before a week of Spring has even passed. It’s no surprise that Bennelong is fast becoming one of my favourite restaurants in this lovely city. 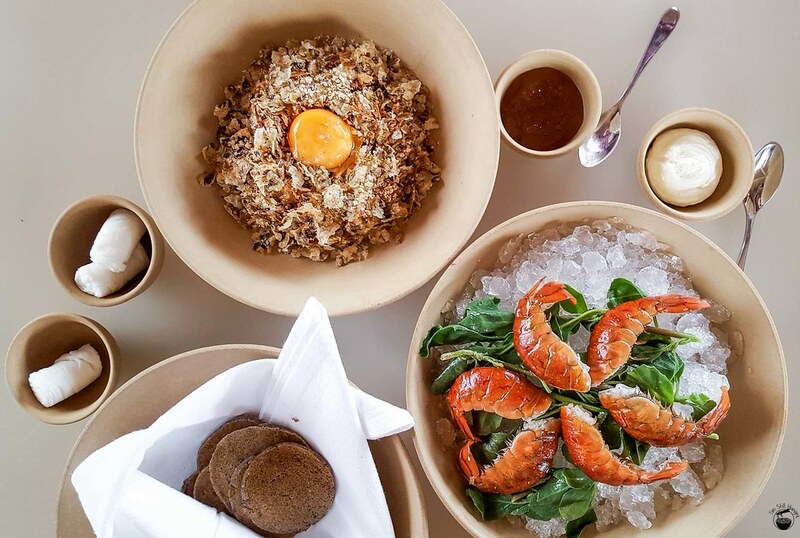 Clearly Time Out & Gourmet Traveller agree – it’s a truly one-of-a-kind establishment. But while I’ve had the fortune of eating at The Restaurant section twice, I’ve always had one other itch to scratch – that of the radically disparate Cured & Cultured menu. 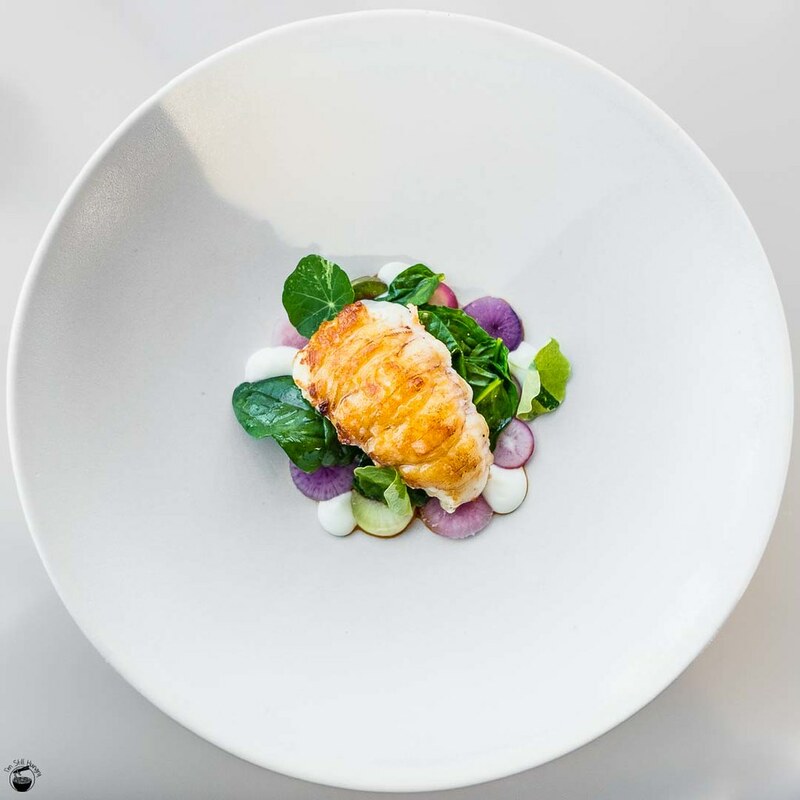 The key theme to C&C is a raw approach that focuses on a hero ingredient – yabbies for example, or wagyu beef. Most dishes on the C&C menu are unique to it. However, there is mutual overlap with the restaurant menu when it comes to desserts. 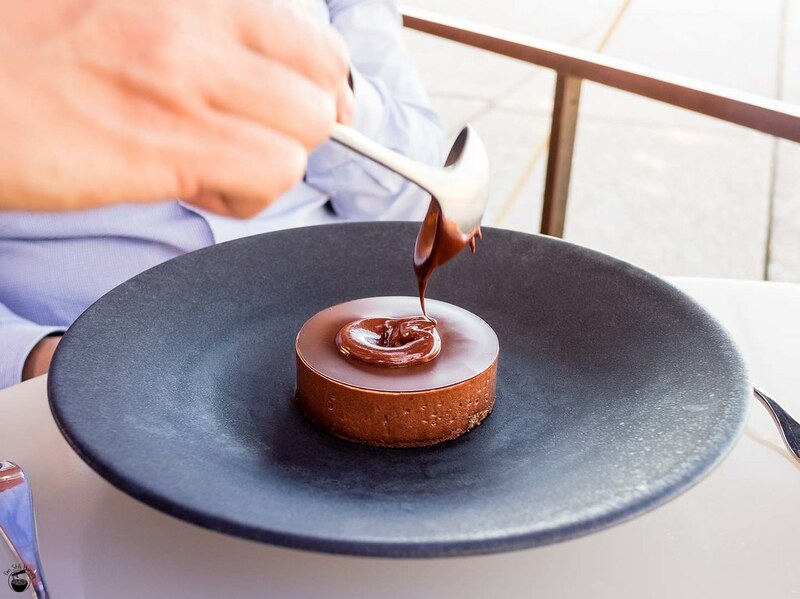 In the end, you will have to make more than one visit if you want to scratch beneath the surface of Bennelong’s offerings. To say that it’s worth it is already a foregone conclusion. 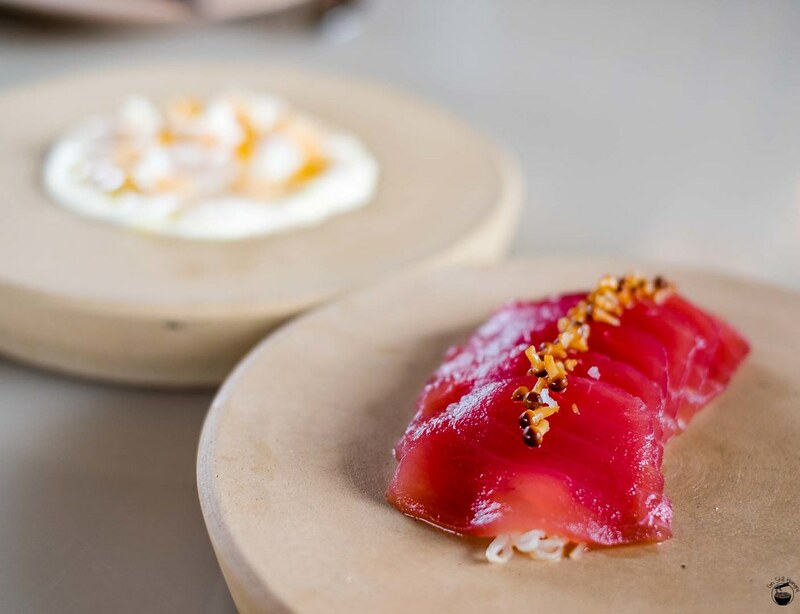 One dish that’s exclusive to C&C is the raw Mooloolaba yellow fin tuna. It’s difficult to imagine a menu that’s about raw ingredients if tuna’s not included. Kingfish was also an option, but tuna is going to make or break C&C’s showing. Hah, and to think I entertained the heinous thought of thinking this was to be a bad dish, discolouring Bennelong’s otherwise golden streak. Not a chance. 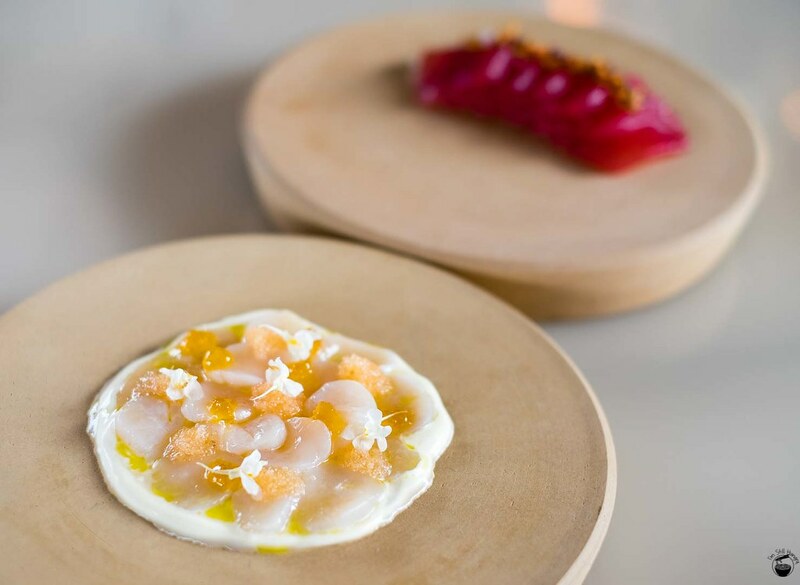 From the first bite, I knew that Cured & Cultured was to sport the same exacting quality, technique and finesse of the main restaurant. The tuna is chewy, bitey and never stringy. Each morsel is exactly the same as the last – consistent to the last mouthful. Flavours are tart, fishy and carry an acidity that’s boosted by a bed of pickled radish underneath. Speaking of the radish – it’s too salty to eat by itself, I advise each mouthful to incorporate a little bit of everything. There’s also a wisp of sesame oil which adds a nutty profile to the dish, working very well with the tuna. 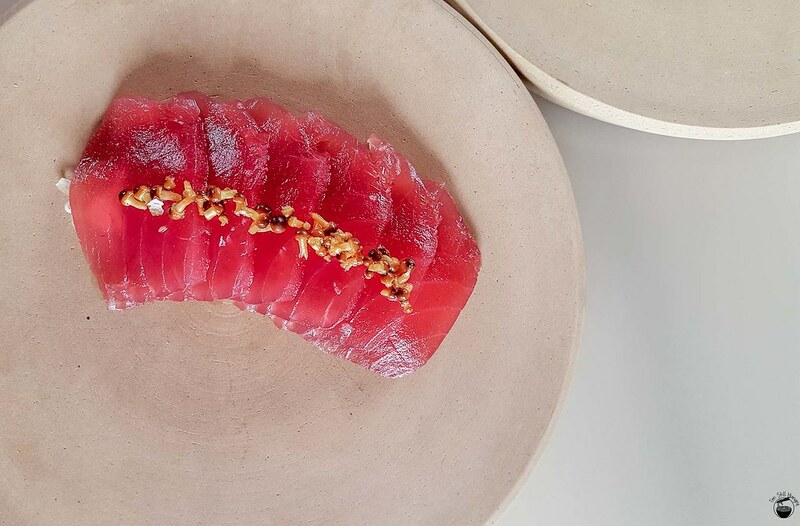 The little mushrooms on top – I’ve never seen them this small and beautiful – weave in additional pops of tangy flavour, and are slightly chewier and slipperier than the tuna itself. A great start to C&C! Up next is the shrimp fried egg – err – I mean raw sea scallops & dory caviar. Whoops, I really did think for a second that I was looking at a fancily plated, fried egg dish – the resemblance is all too similar. 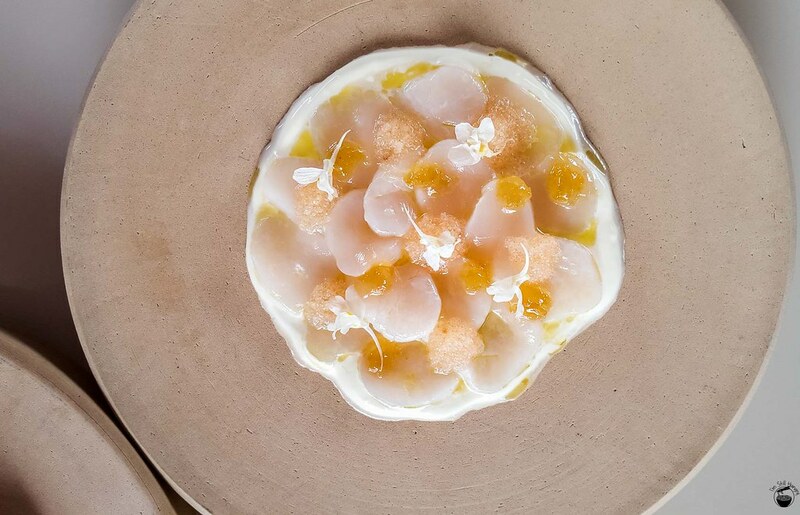 Then I look closer, and begin noticing the little details – the thinly-sliced scallops, dollops of citrus oil, and white flower garnish to just give it that little bit of a final touch. It might not be the breakfast I mistook it to be, but at $26, that’s a good thing. Raw has never tasted so good. The scallops – springy and moreish, buzzing with salinity and fishiness from the dory caviar. The creme fraiche provided an agglutinant for all the elements of the dish, tying it all together in supporting the hero – the scallops. The citrus, at the end cuts through the cream’s heaviness, completing the flavour sensation. I probably wouldn’t re-order this, given that it didn’t give me the same excited buzz as the tuna, as I found the taste a bit lacking. Still, a solid plate of food that you would be remiss to skip on your first time here. My personal favourite raw dish at Cured & Cultured, Bennelong’s spin on a smoked wagyu tartare easily smokes the competition. Described by my dining companions Lamfred & “Suggested User” Nutellasum, it’s particularly Asiatic in flavour, reminiscent of Korean Yukhoe. I don’t eat Yukhoe enough to confirm this, but I definitely detected distinctly Asian flavours in the dish – pungent chilli, sesame oil, seaweed umami and a little bit of savoury bitterness in the aftertaste. It’s good, I dig it. Even more impressive is the texture – full of snap, crackle & pop from the puffed grains, crisps and god knows what else is in there. They’re full of salty-sweet flavour too – not just for textural show. Finally, there’s the beef itself – chewy, tender, so, so savoury. There’s just something about raw beef that cooking takes away. Thank goodness we have tartare for that! One of the most prominently-featured items off the C&C menu are the red claw yabbies w/buckwheat pikelets. The ultimate expression of a hero ingredient, these yabbies, with their bright-red/orange shells and distinctive features, dominate the plating. The crustaceans are served with warm, pillowy buckwheat pikelets which are akin to blinis, alongside garnishes of lemon jam & creme fraiche. Fortunately, the yabbies are extremely easy to de-shell – almost no effort required. In terms of taste, I have to say I can’t appreciate them. There just wasn’t that much flavour there, not much sweetness. The texture? Yes, that’s good – chewy and limber, but flavours came exclusively from the wheat-ey pancakes & tangy jam. To be fair, the pairing goes together quite well, but the yabby simply didn’t feel like the hero of the dish. It took a backseat, providing only some bouncy texture. 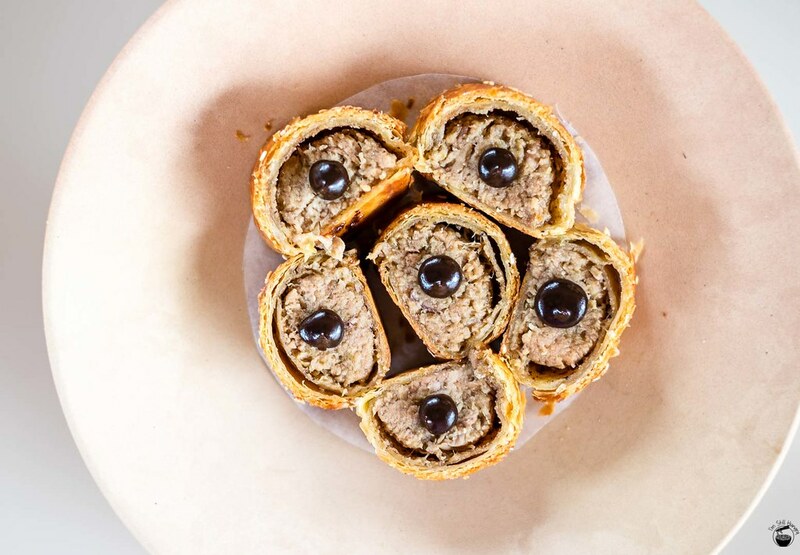 …sausage rolls at your beck and call! 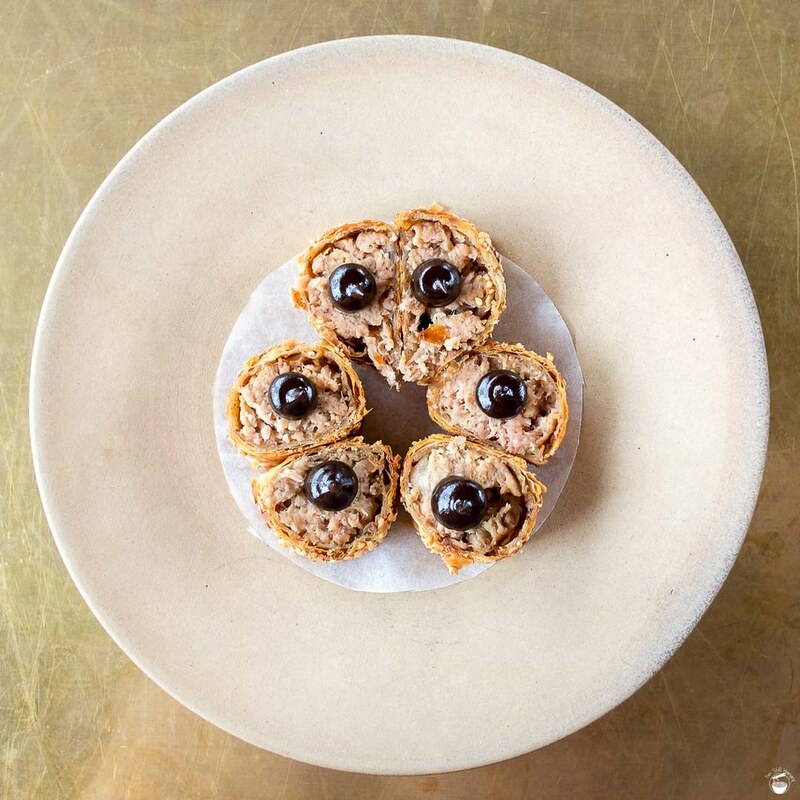 One of the more controversial items on Bennelong’s Cured & Cultured menu, these have recently been featuring in all sorts of food publications, for one simple reason – it’s a $24 sausage roll. 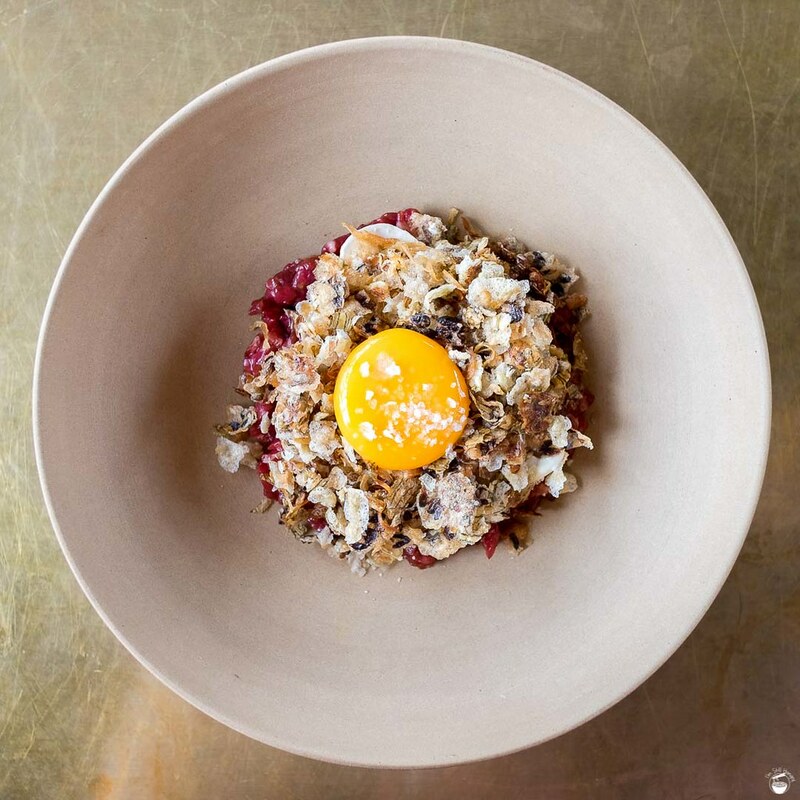 I get Bennelong is all about showcasing Australian produce in Australian dishes. The sausage roll is one heck of a blatant example, but you have to wonder – who pays $24 for a sausage roll? Apparently, every single table I managed to observe that day. Of course, us too. There will be a certain proportion of readers that will blanch at the thought of paying 5x the price of a regular sausage roll from almost…well…anywhere else. $24 will never be an okay or acceptable price to pay. I understand that. Thing is, if you find yourself sitting at the bar here, almost every other dish is more expensive anyway, so what do you have to lose? If anything, you can say you’ve had a $24 sausage roll, even if you didn’t like it. As for us? We re-ordered it. It was almost inevitable. It’s Peter Gilmore, it’s Bennelong. That their take on the iconic sausage roll was going to be a flop is almost a statistical impossibility. Yes, I do get the “down and dirty” way of eating it whole, instead of it being chopped up and fancily plated. But when it comes down to it, this is a bloody strong showcase of just how good a sausage roll can get. The dish is baked to order (none of that “kept warm” fluff), so expect a 20-25min wait. The butter puff pastry is already delectable (though not as puffed as I would have liked), but the real star is in that juicy, juicy sausage meat. Suckling pig is braised for eight hours in salted butter brine at 85C, combined with similarly slow-cooked veg, and a dollop of black garlic “BBQ sauce” is piped on top. Yes, it’s a little bit fancy, but the results are incredible. It’s hard to say this is the best sausage roll I’ve had (memories of dirty sausage roll x petrol refuel breaks are hard to surpress), but when I try to think of where else have I had a better sausage roll – I come up empty. So there you go, the best sausage roll I’ve ever had, if you can officially call it that. I still want one whole, and a bottle of that black garlic sauce. Then it’ll definitely be the best. As if a jazzed-up sausage roll isn’t already ticking some of you off, here’s some further ammo to fuel the flames – a fancy-as five cheese truffle toastie. The most expensive toastie ever? Technically that honour belongs to Devon Cafe, but I’m not sure the trophy of “most expensive” is one that restaurants should chase after. 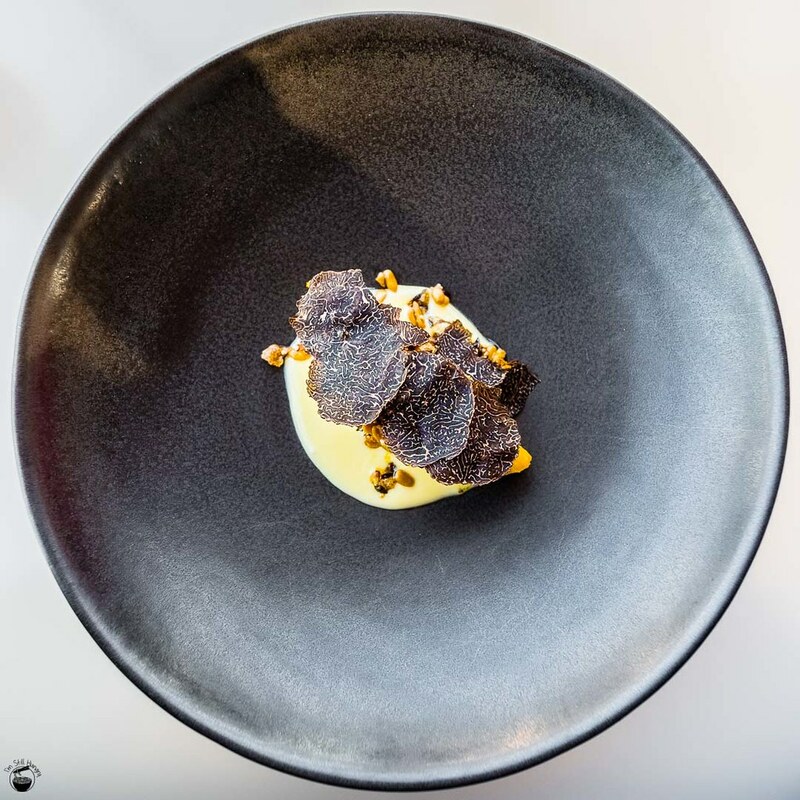 The truffle is from WA’s Manjimup, which has made quite a few waves during truffle season. 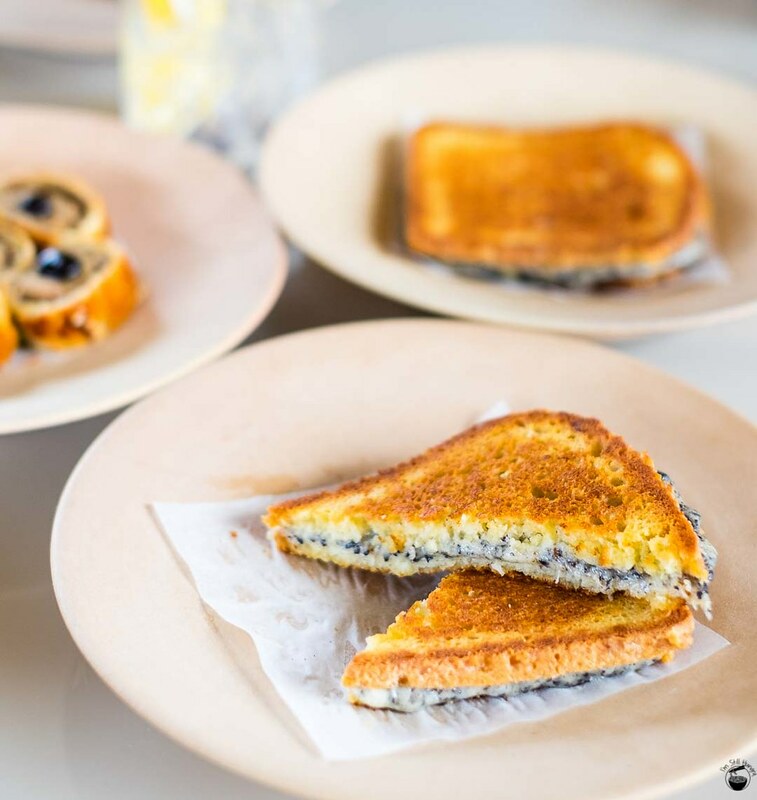 All of this goes between two slices of heavily-buttered brioche, and the results are unlike any other cheese toastie you’ve previously eaten. Here’s the thing – I love the truffle toastie, but I didn’t love it as much as I thought I would. The truffle flavour, for starters, is suppressed by the strength of the cheeses. I could definitely smell the truffle’s pungency, I just can’t taste it. 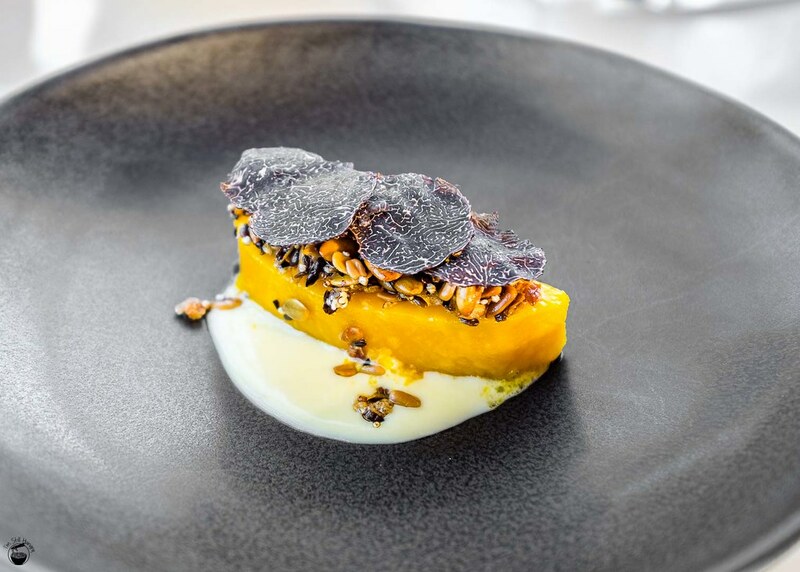 It’s not the fault of the truffle – there’s simply so much cheese, it’s the real star of the show. Thing is, this cheese toastie could easily have gone without the truffle, and it would be just as good. 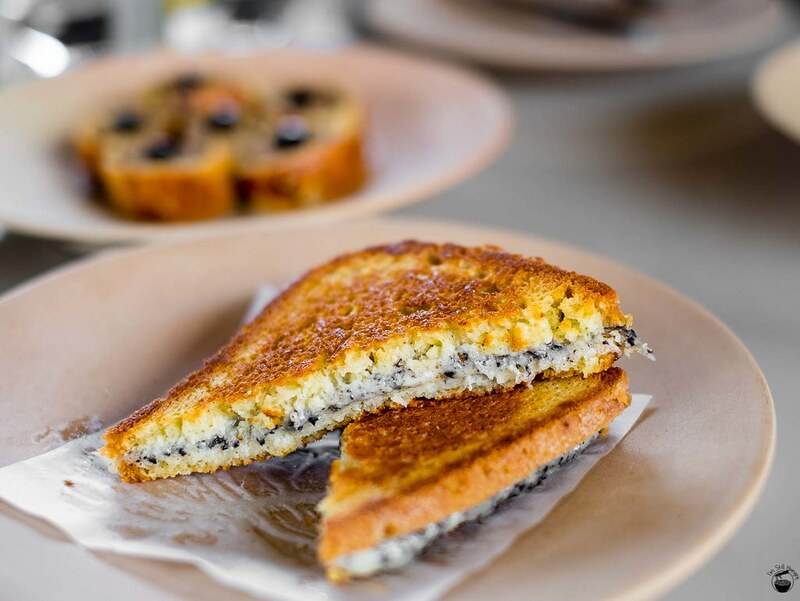 This is as well, given truffle season is officially over, so if the cheese toastie continues to exist on the menu, the truffle aspect should eventually drop off. But what about the rest of the toastie? This is where it’s the good stuff. I can’t stand a cheese toastie where the flavour of the cheese is weak, and I’ve just established that this toastie is anything but. I’m not even going to try and distinguish the cheeses individually – it would be a moot point. The end result is delicious, cheesy heaven, backed up by an extremely crumbly and buttery brioche that barely takes any effort to chew. It’s not something I’m used to, but it’s something I definitely wouldn’t mind getting used to. A delicious sandwich – but traditional toastie purists will definitely have a bone to pick or two. 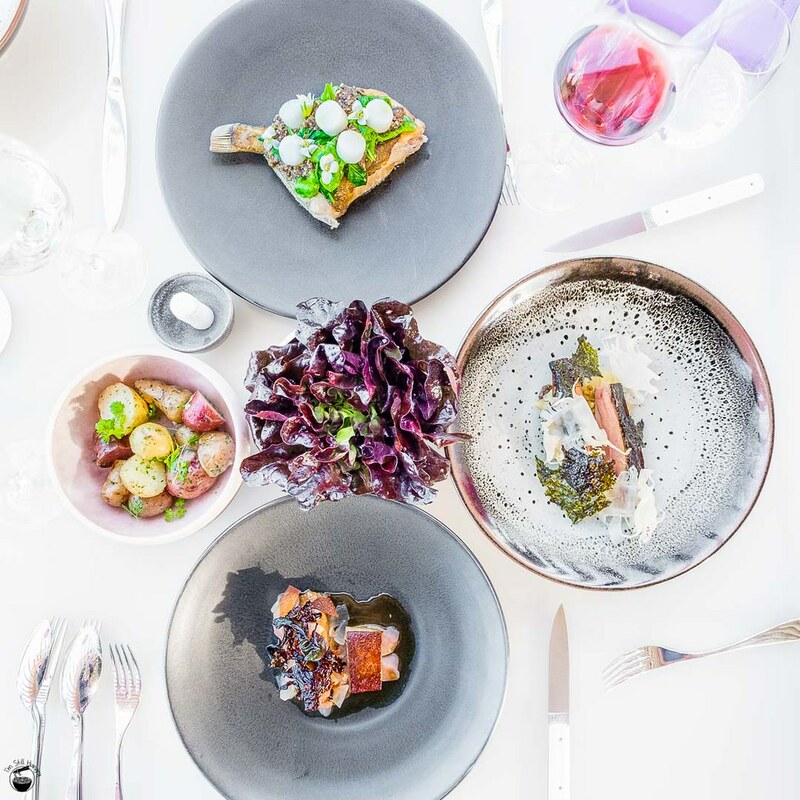 The food clearly stands for itself at Cured & Cultured, but what really completes the experience is the provision of the same desserts from the restaurant menu, with the exception of the creme caramel. Don’t ask why, that is a mystery of the universe. You can read more about that back in section two. Given the variety of sweet finishers available, I took advantage and ordered the last dessert I had yet to try until this point – strawberries & cream. Upon first sight, it reminded me of a snowed-in driveway, but hopefully more delicious. Eating strawberries & cream reminds me of eating the best vanilla & strawberry parts of neapolitan ice cream, and it’s a beautiful, very Australian memory. The cool white snow is soft, creamy and very milky, while the bed of strawberry ice cream provides a firmed bed of milky, creamy texture, plumped up with strawberry-sweet flavour. Remember how I always say I like palate cleansers the most? This dish is like a giant palate cleanser. That I would fall in love with it is an inevitability. We also ordered all the other desserts available to us on the menu – including the pavlova, chocolate cake from across the water & cherry jam lamington. I’m happy to say that they are all as good as I remember them to be. Four desserts between three people – I know, we’re terrible. Terribly good at eating, that is. 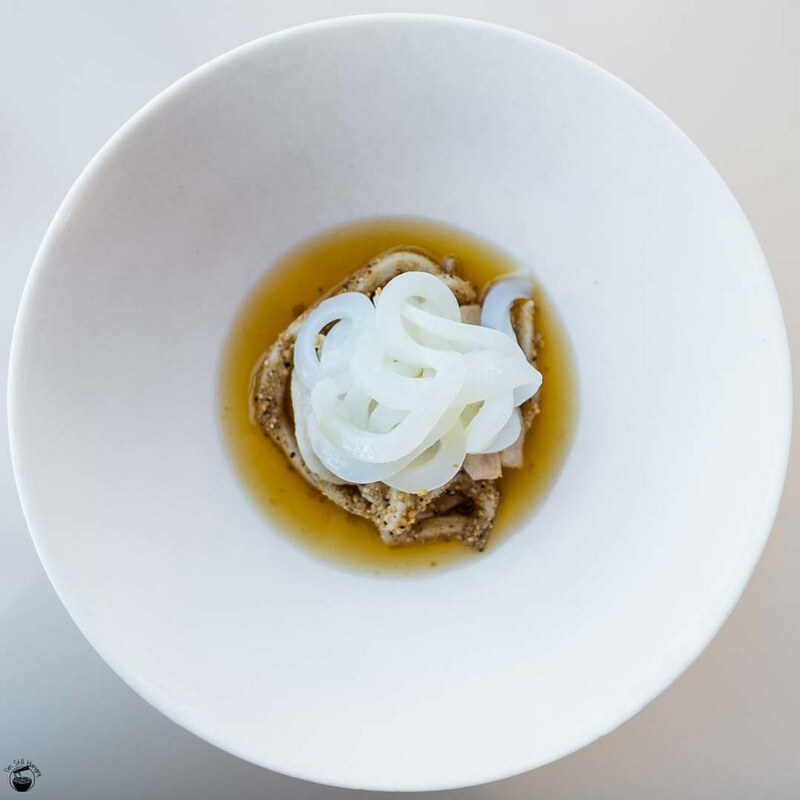 Cured & Cultured upholds Bennelong’s superior quality and culinary acumen in every way, despite presenting what is a decidedly more snack-ish style of food. Get in there, use your fingers, and every now and then, spoil yourself with a $24 sausage roll and a $22 cheese toastie. You’ll get haters, of which your wallet is one, but in the end – you’ll be the one who gets to live. Dat tuna, as good (albeit a bit salty) as ever! Roasted carrot salad w/almonds, sheep’s milk feta, amaranth – don’t be put off by the fact that it’s a salad; it’s a must order! Salad of saltwater chicken w/housemade udon, palm heart, sesame, peanuts ($28) – delicious also! 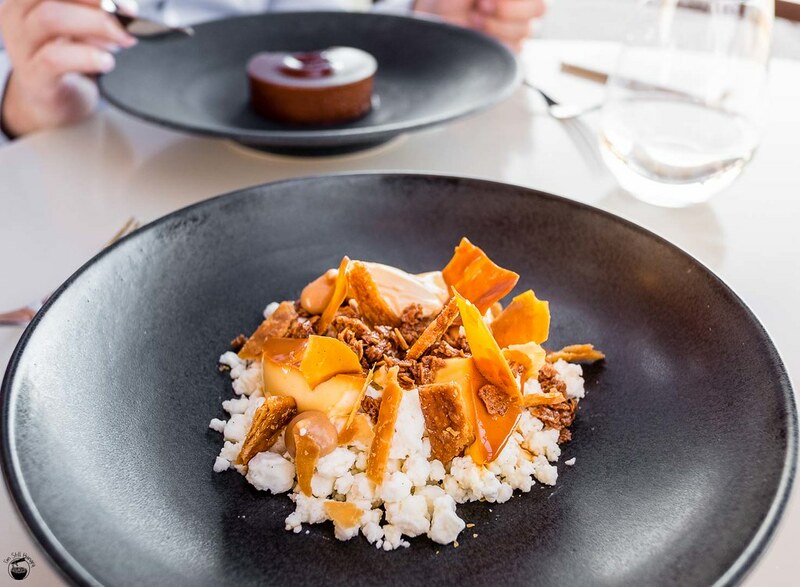 If it’s your first time at Bennelong, give The Restaurant a visit first. For those wondering if Cured & Cultured should be their next step? Stop mulling it over. Come on down and get your hands on a sausage roll. This post is based on three independent visits to Bennelong. Substandard mains (relative to entrees/desserts) mean an inconsistent experience across a 3-course meal. The portion sizes. I’m Still Hungry. OMG, death by chocolate!! Lovely interiors, fantastic view and elegant plating. What an experience! If this is the way I must die, then so be it! Definitely worth the experience – something you should go for! Thanks for the heads up, amended. the food looks fantastic, especially the dessert! 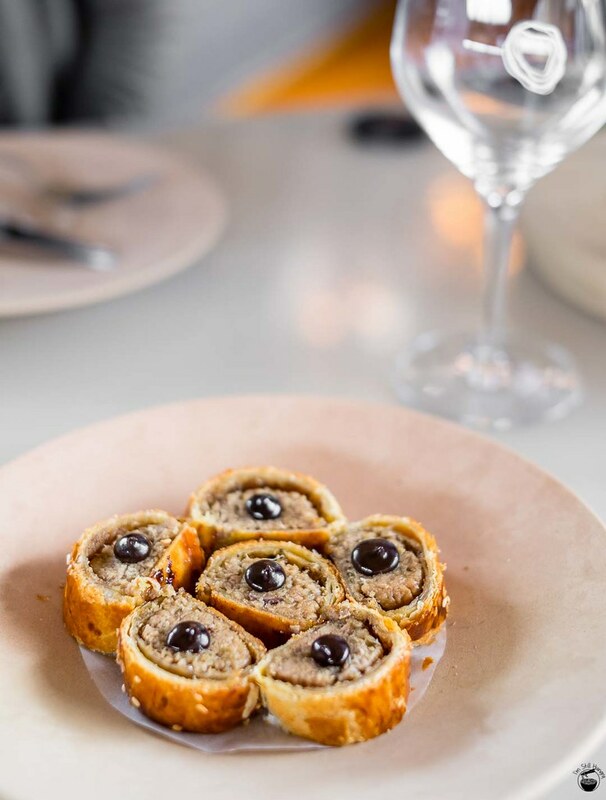 The desserts are unequivocally the best part of Bennelong, but the savouries are not far behind!